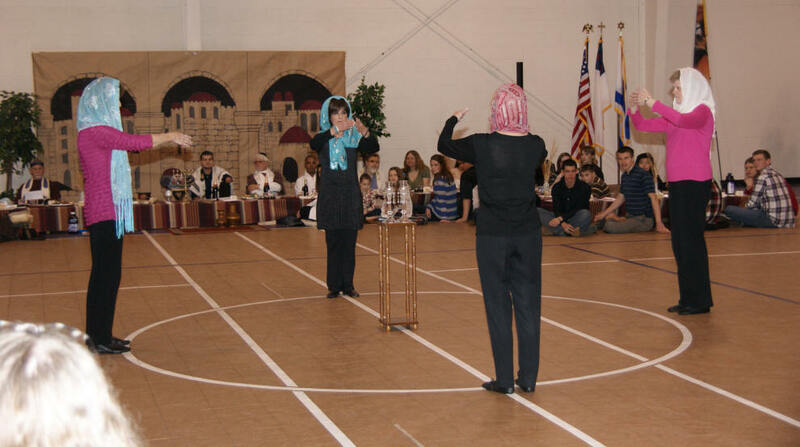 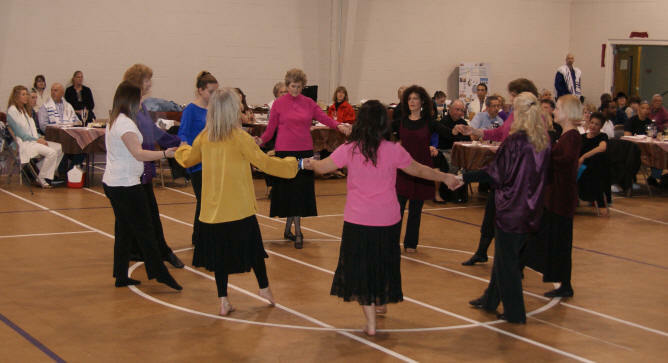 The Machol Dancers visited Beit Tikvah in Ft. Mill, SC, on Friday, February 4, 2011. 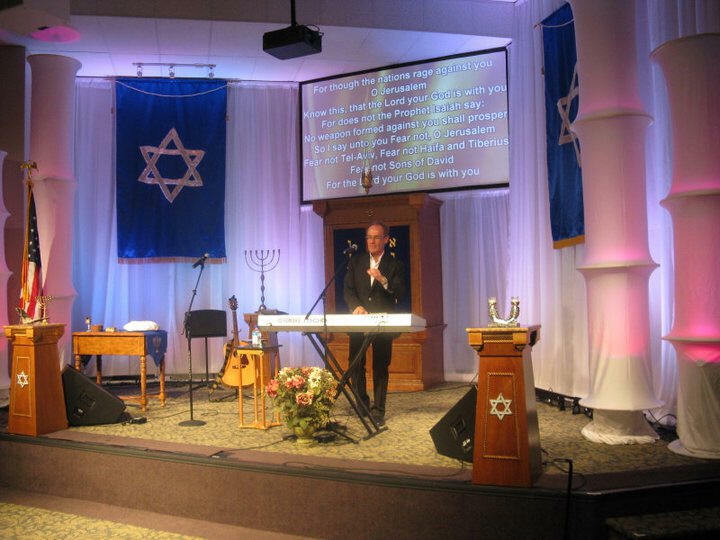 Beit Tikvah is a Jewish-Roots group led by Peter Wyns and Steve & Laurie Martin in association with Antioch International Church. 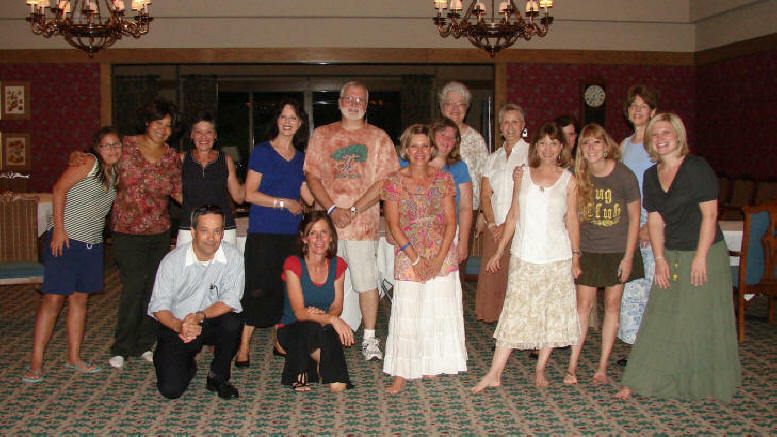 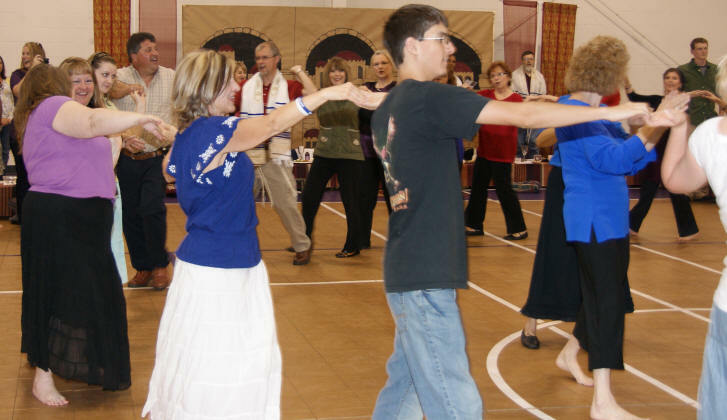 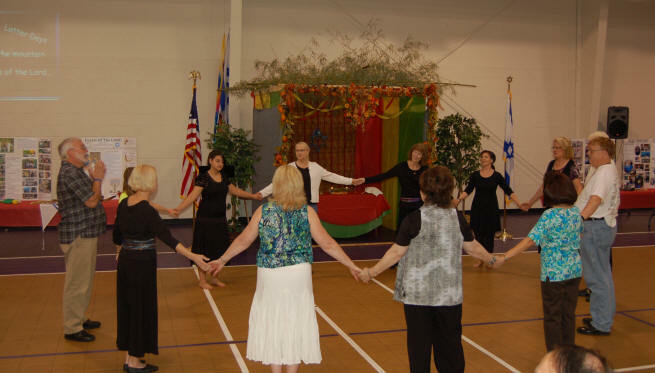 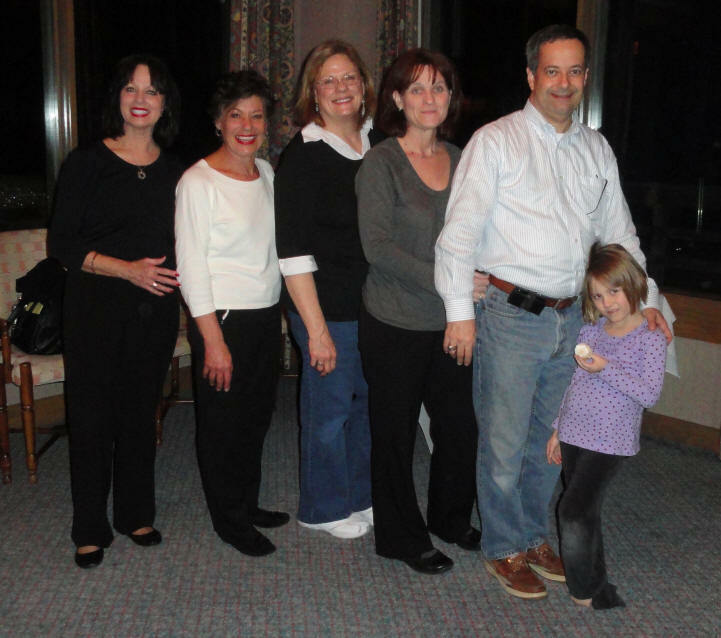 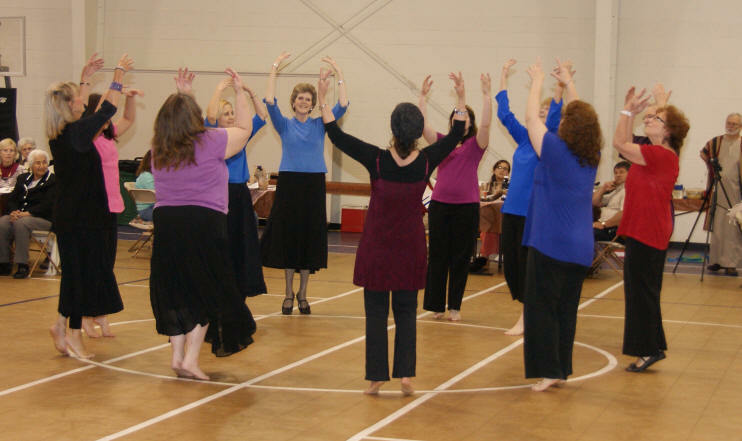 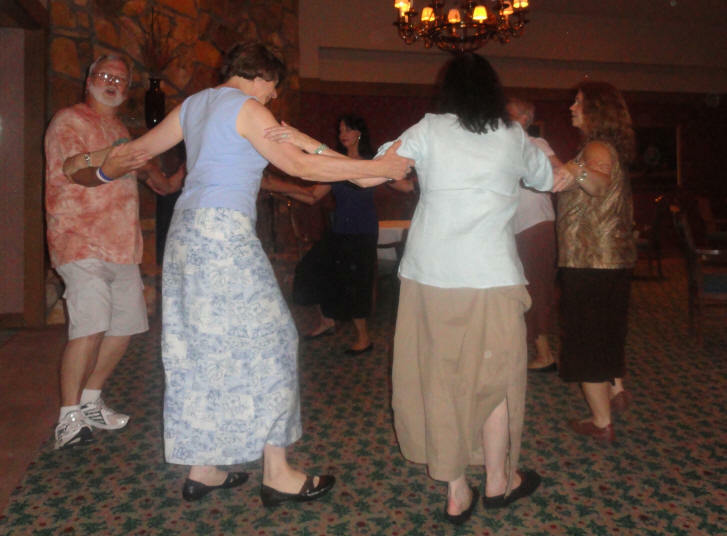 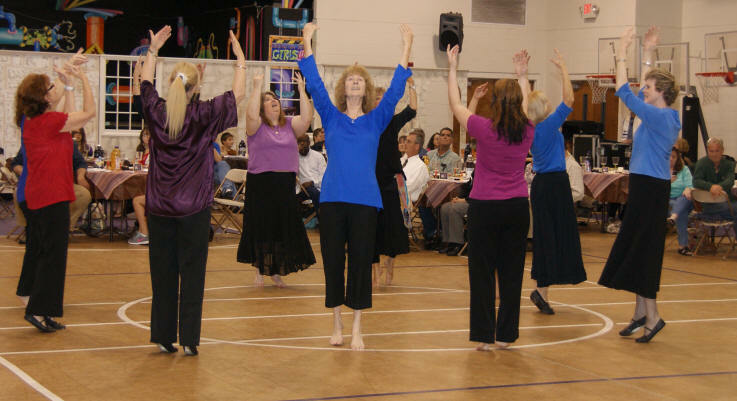 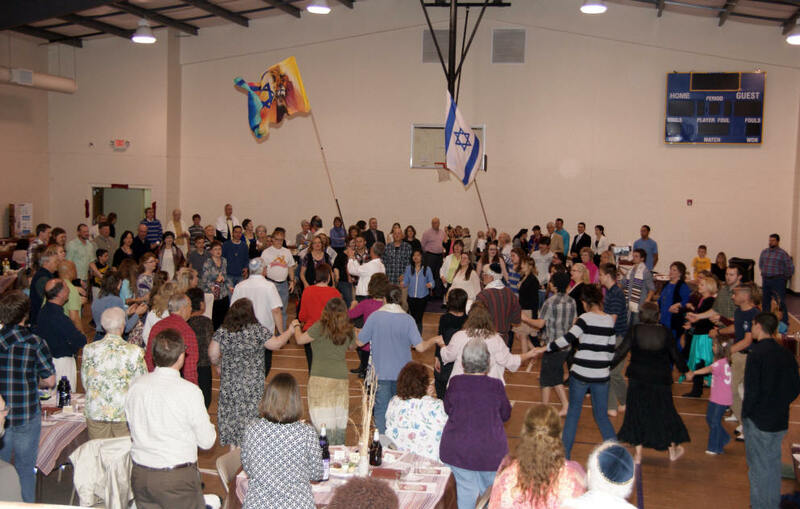 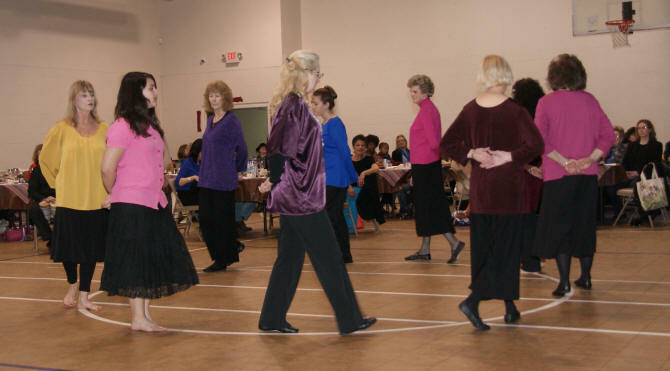 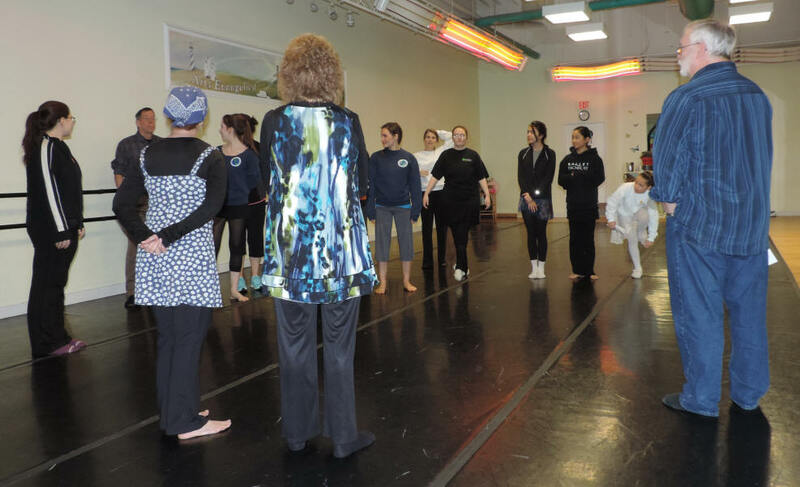 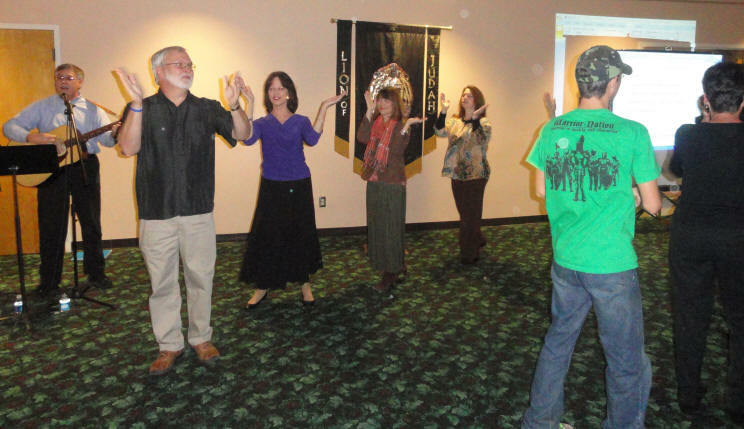 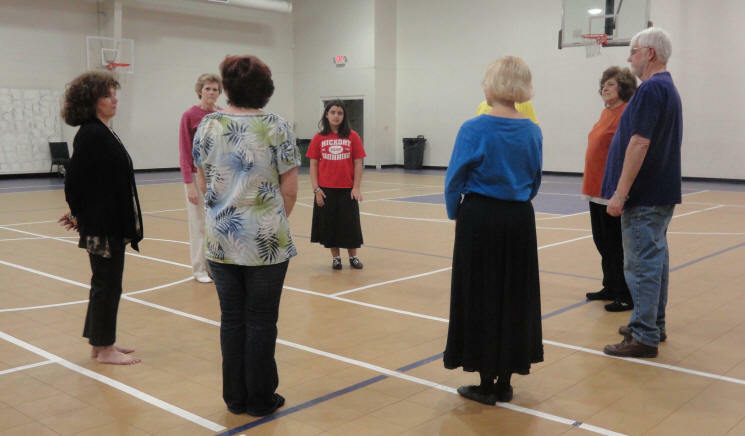 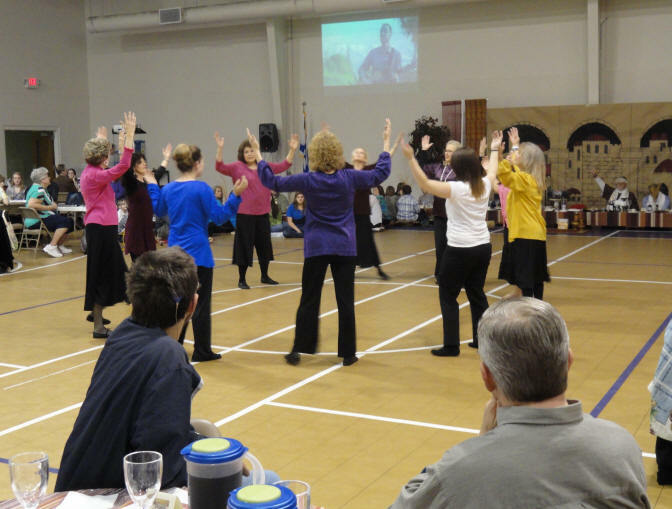 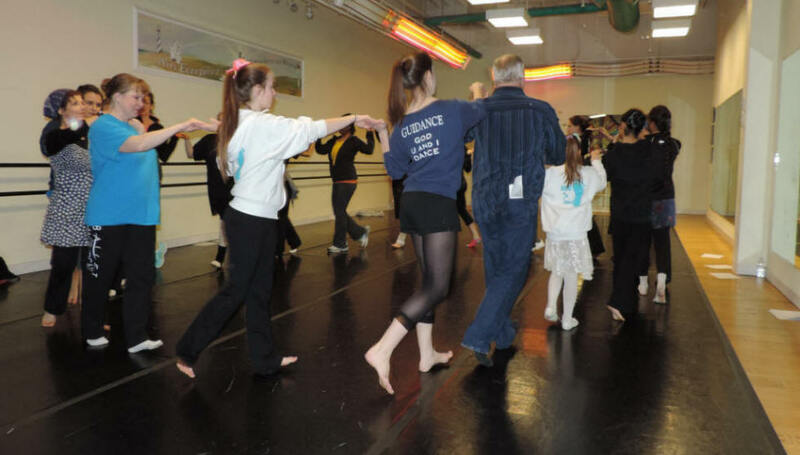 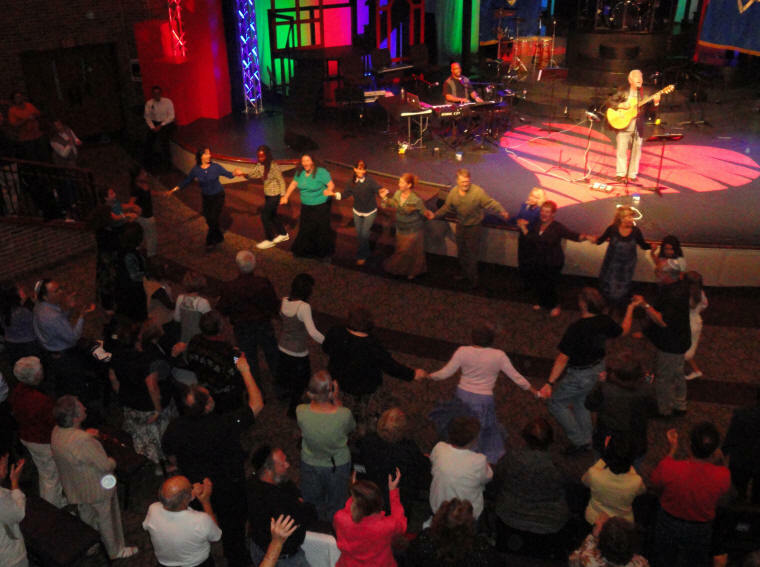 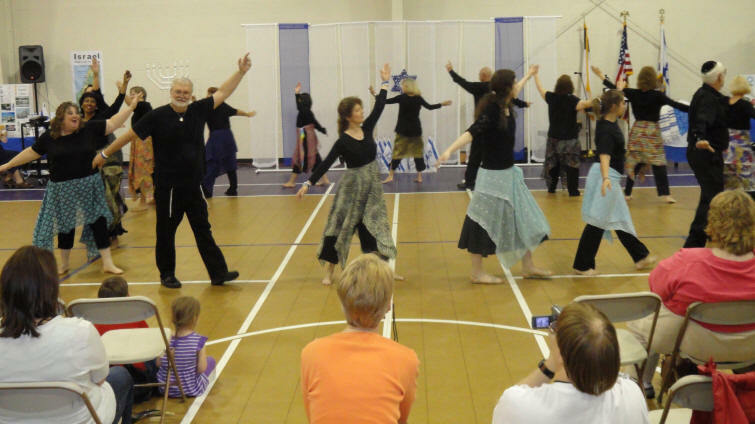 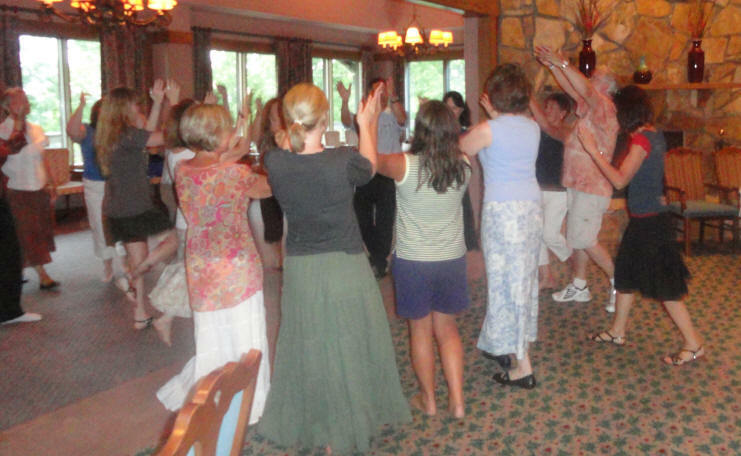 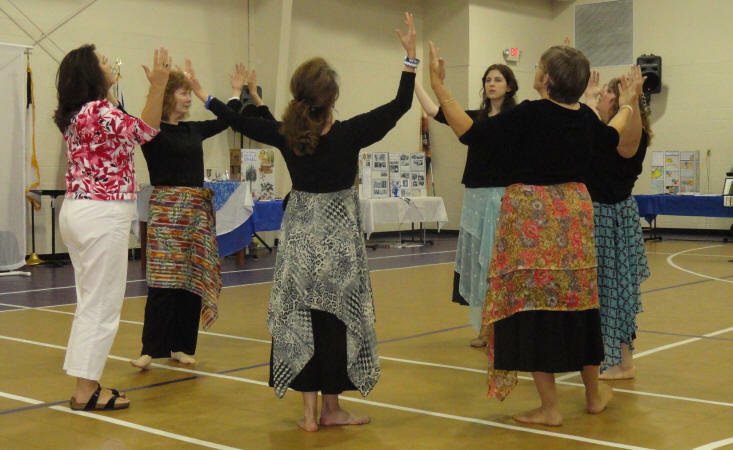 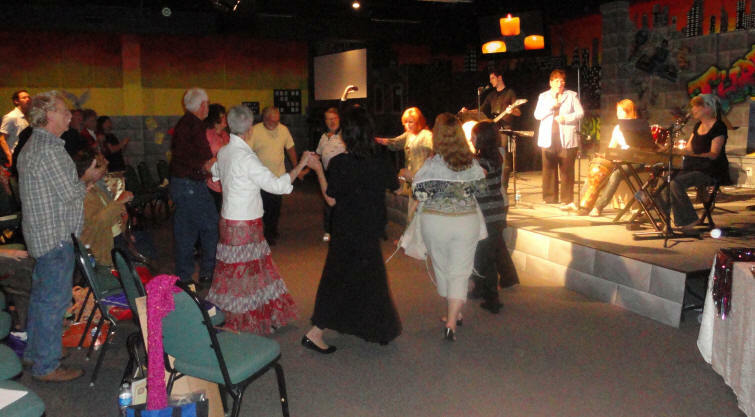 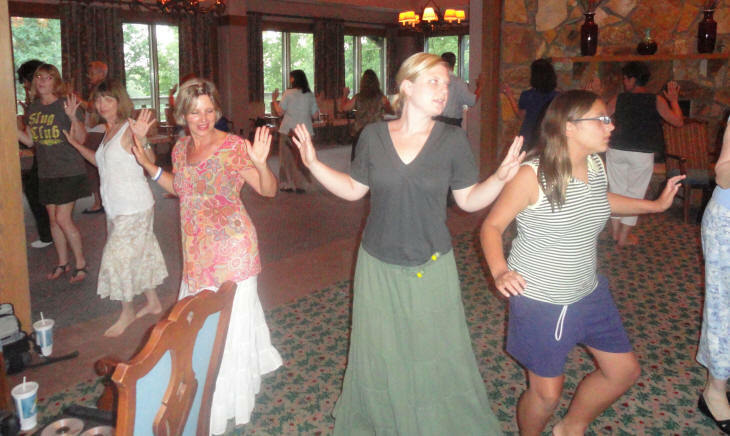 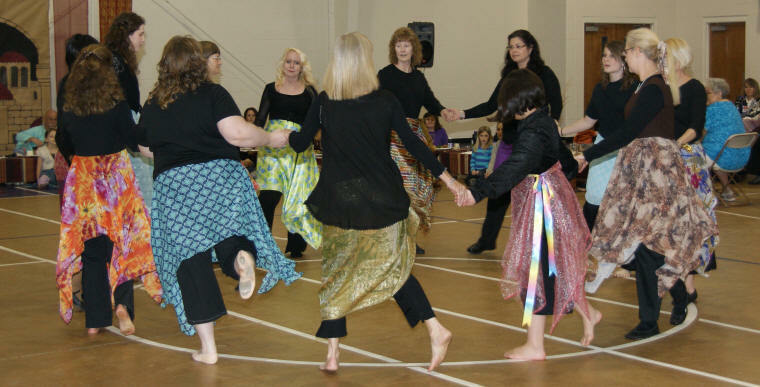 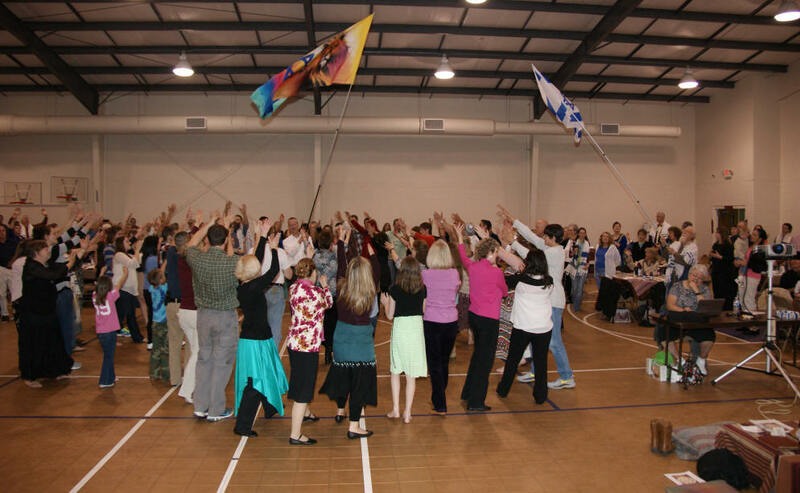 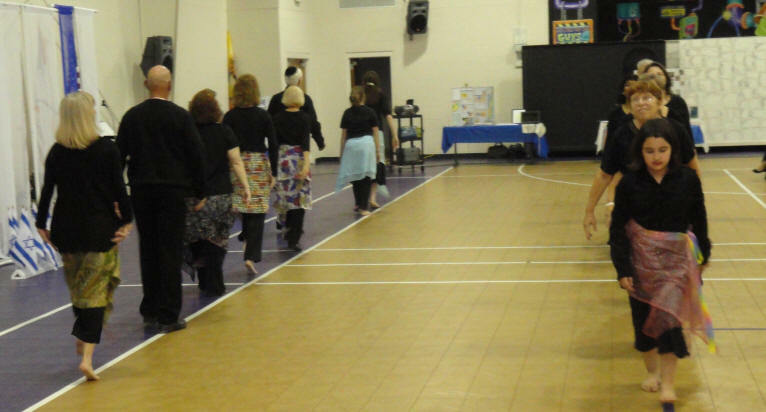 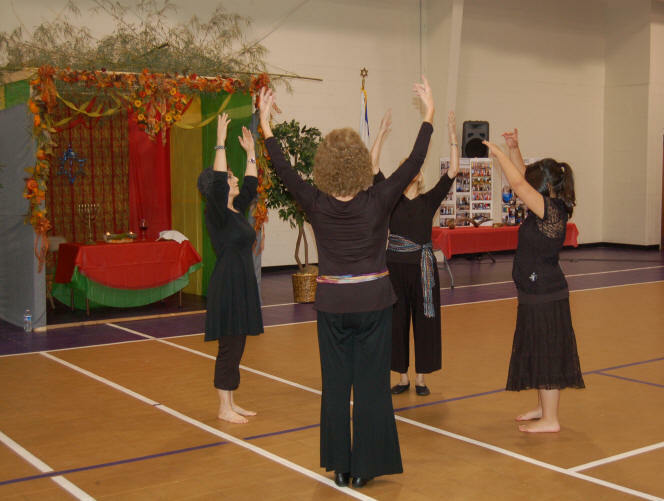 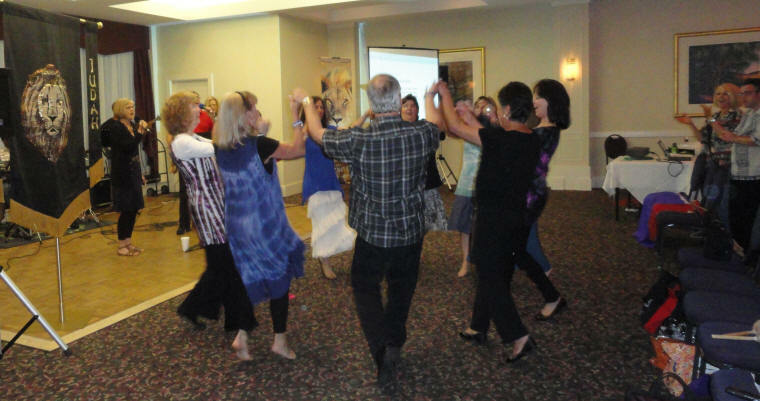 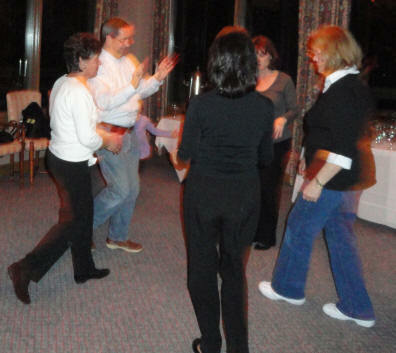 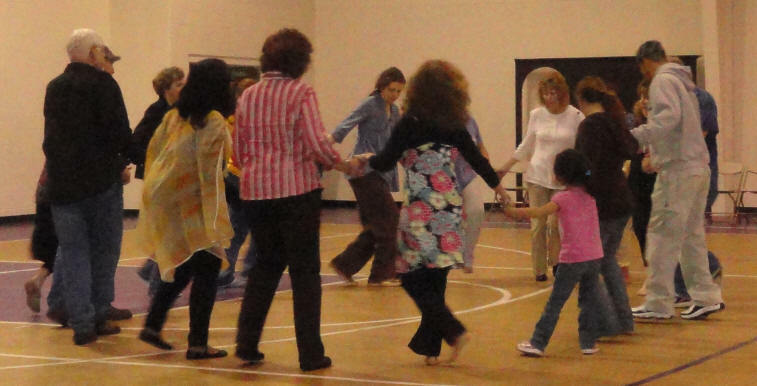 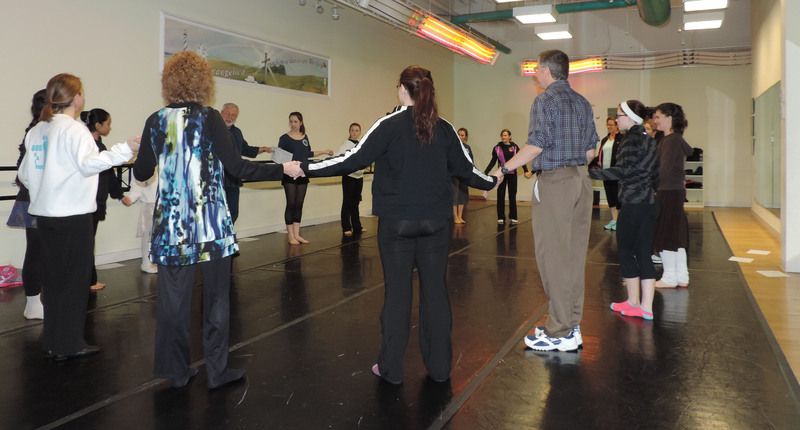 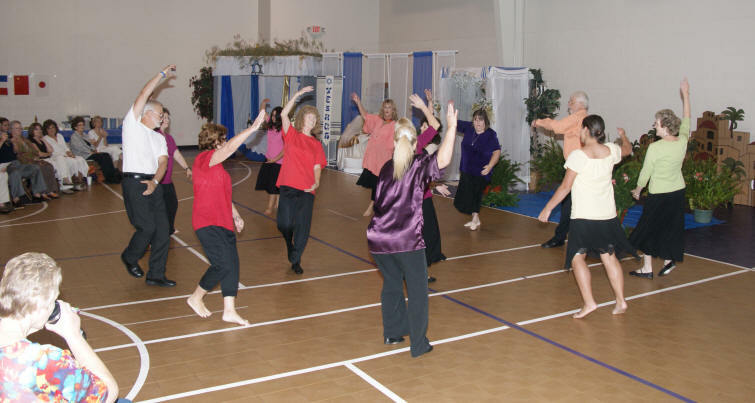 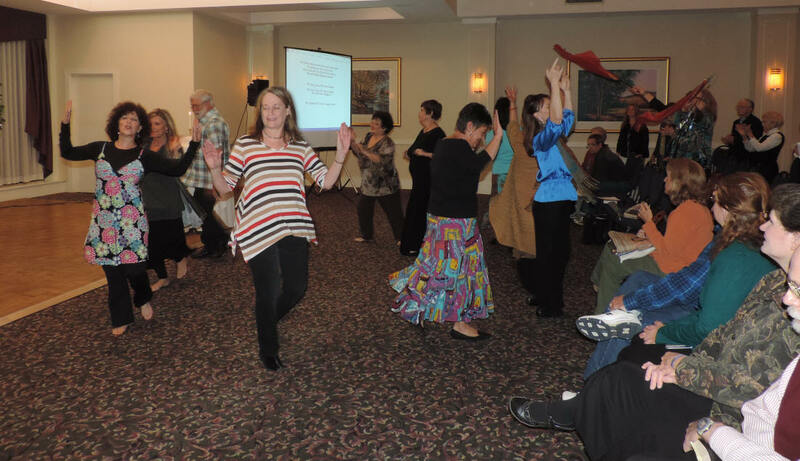 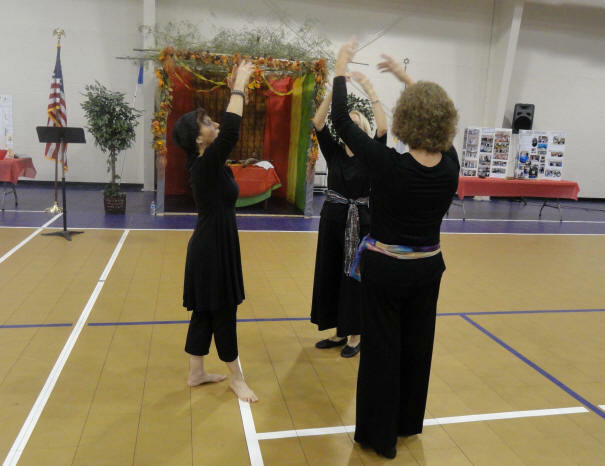 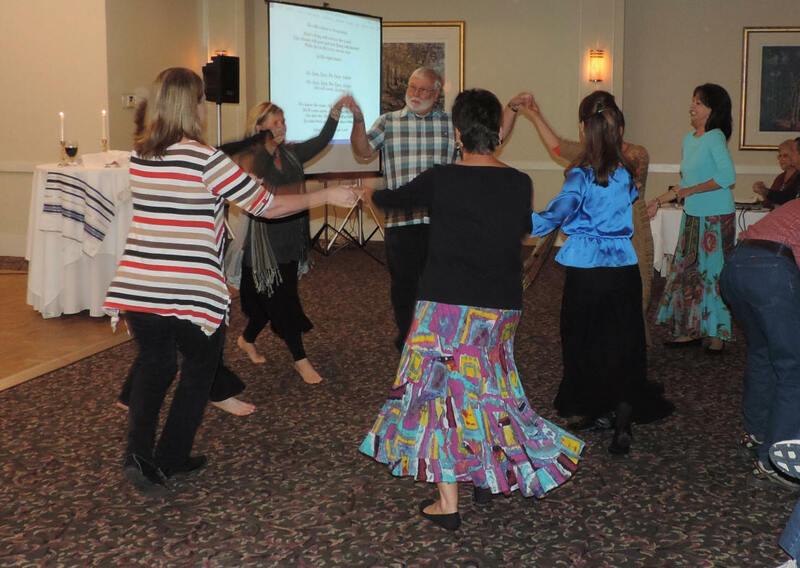 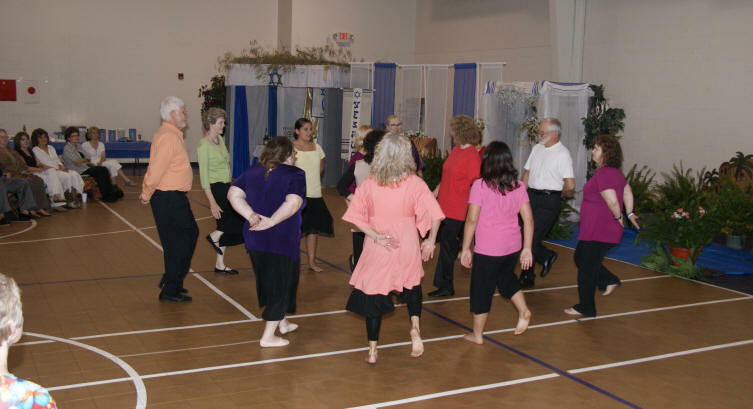 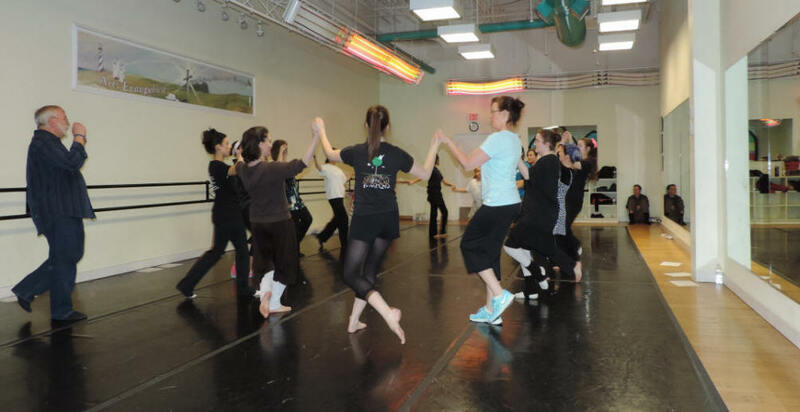 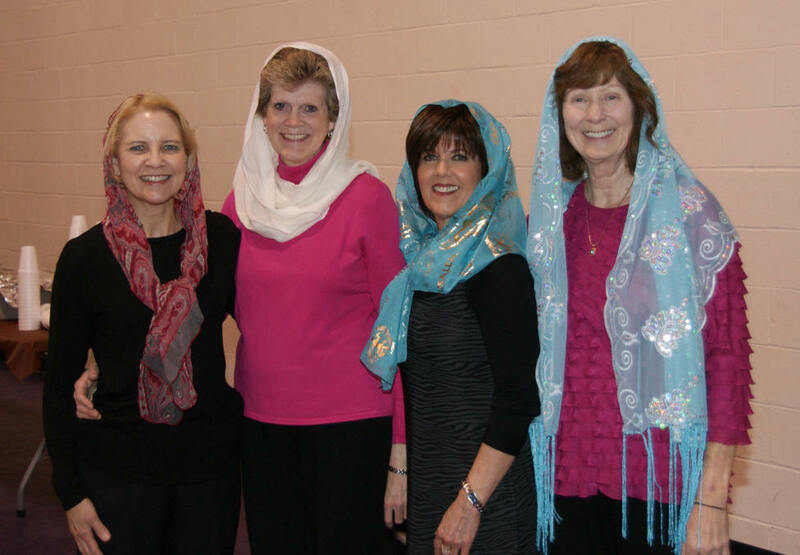 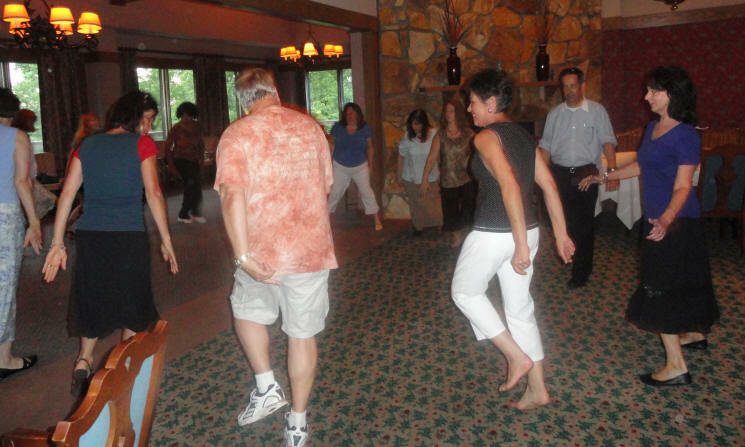 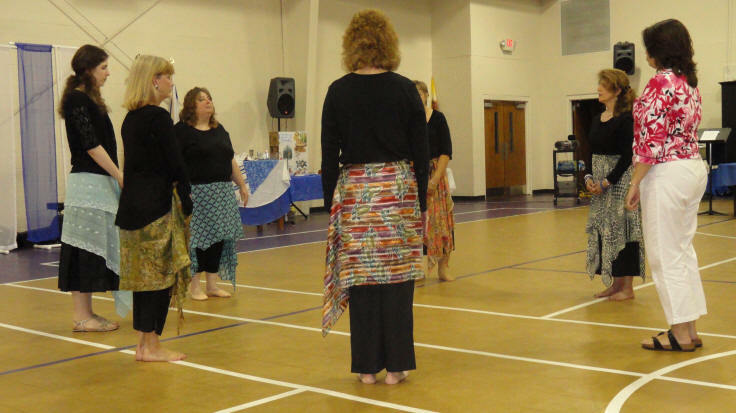 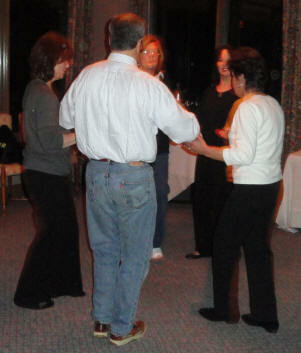 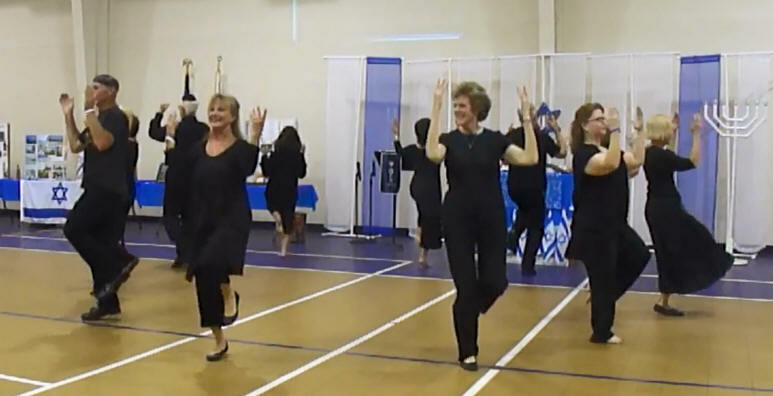 Machol, the Covenant-based Israeli Folk Dance class, continued to grow in 2011. 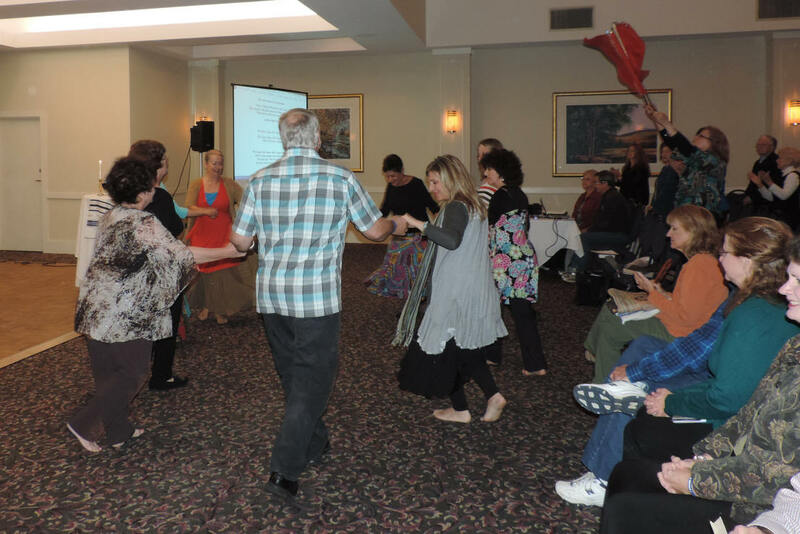 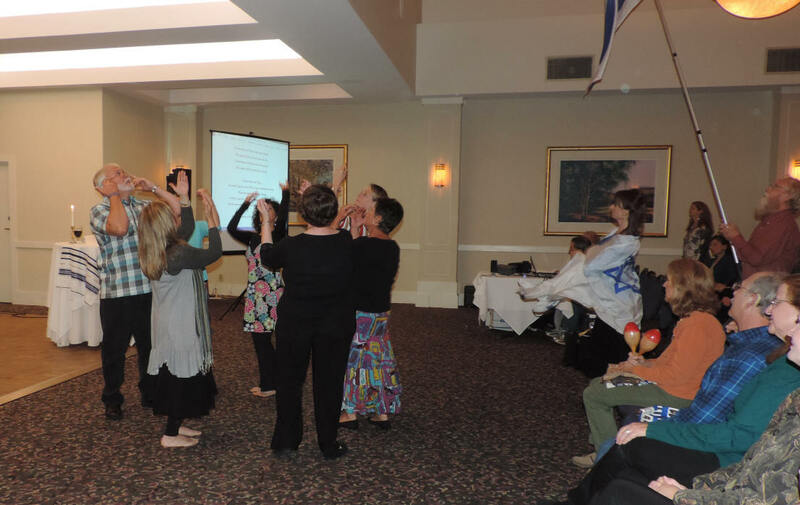 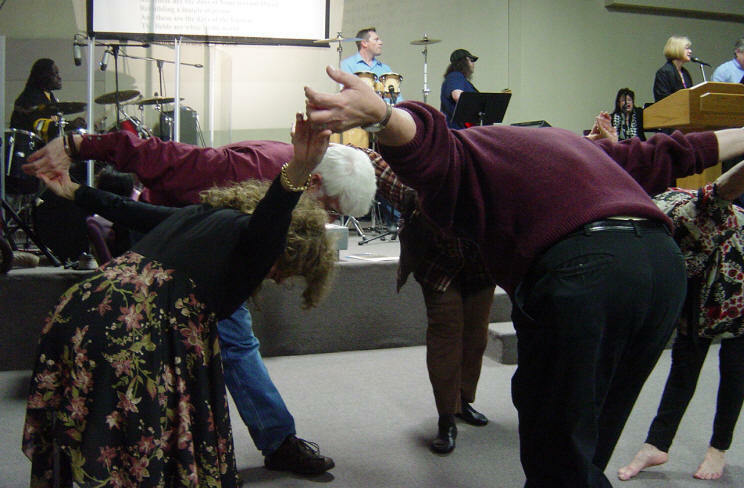 It's wonderful when people come together to learn Israeli Folk Dance in order to increase the depth of their worship before the Lord. 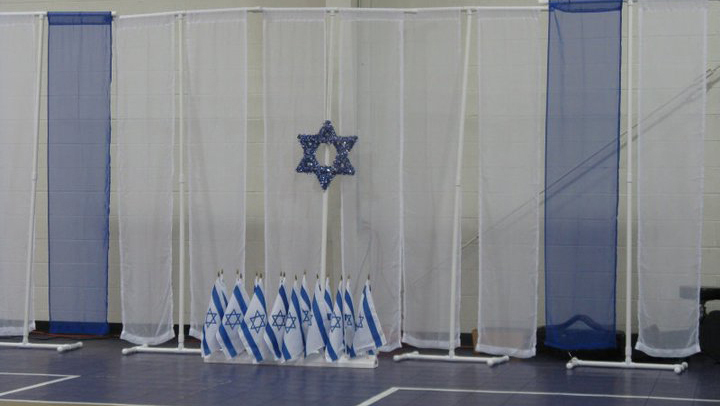 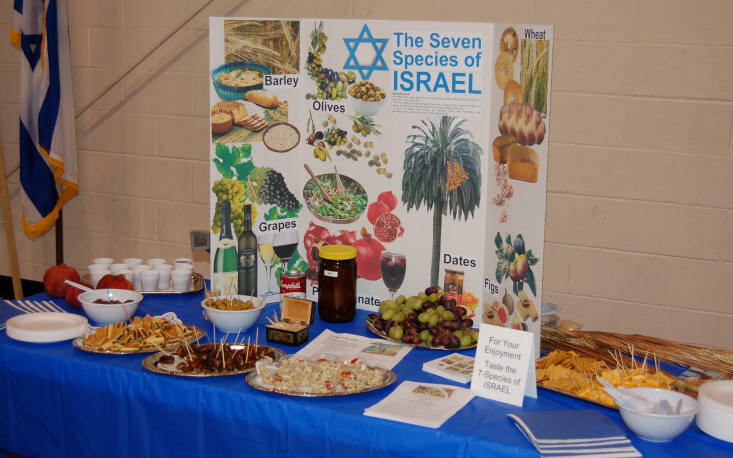 for our Evening Honoring Israel that was coming up on May 6th. 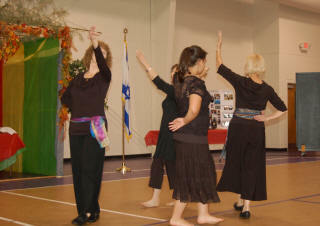 Beit Yeshua and the Machol Dancers joined with Beit Shofarot on Saturday, March 5, 2011, as they welcomed Messianic singer Ted Pearce. 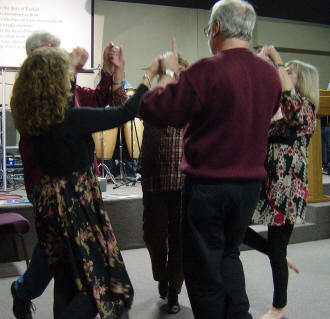 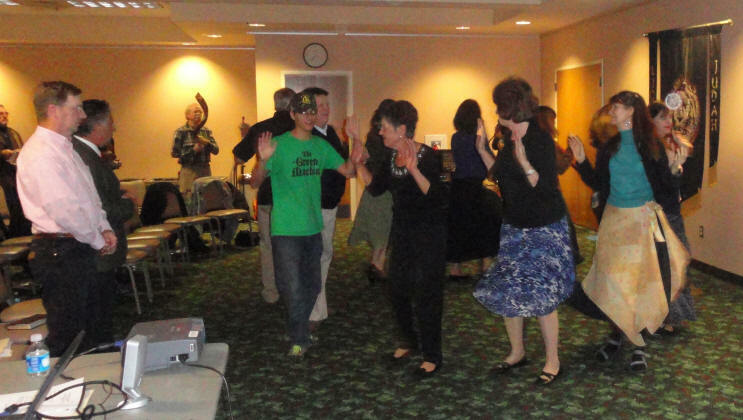 Curtis has been asked to lead congregational Israeli Folk Dance. 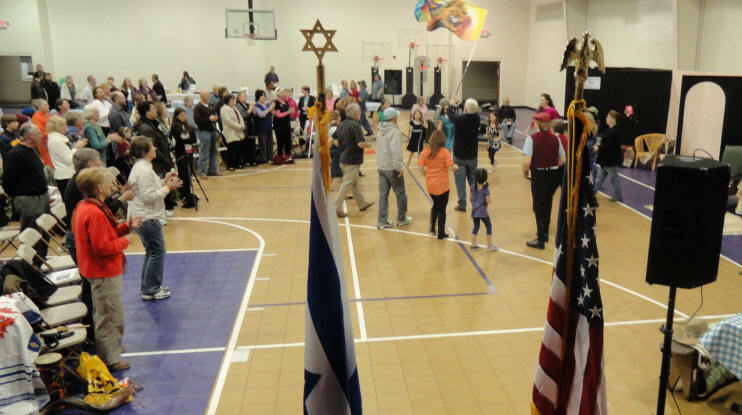 Singing "Hallelu Et Adonai", "Zealous Over Zion" and "Awake O Zion"
Beit Yeshua and Beit Shofarot joined together on Friday, March 11, 2011, 7pm, in the Family Life Center of Covenant Bible Church in Lincolnton, NC, to celebrate the Biblical Feast of PURIM. 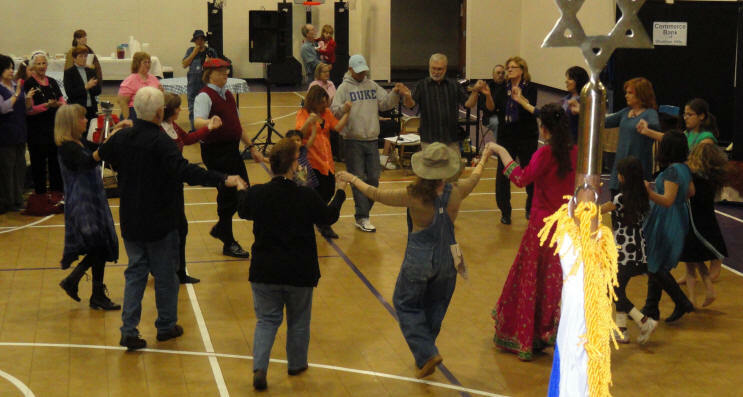 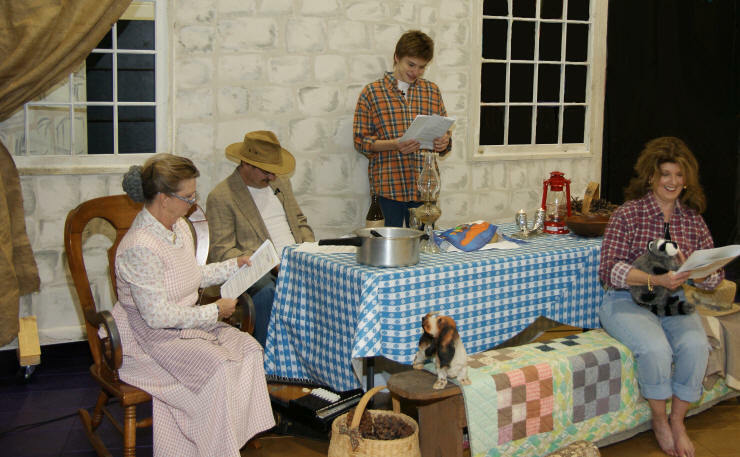 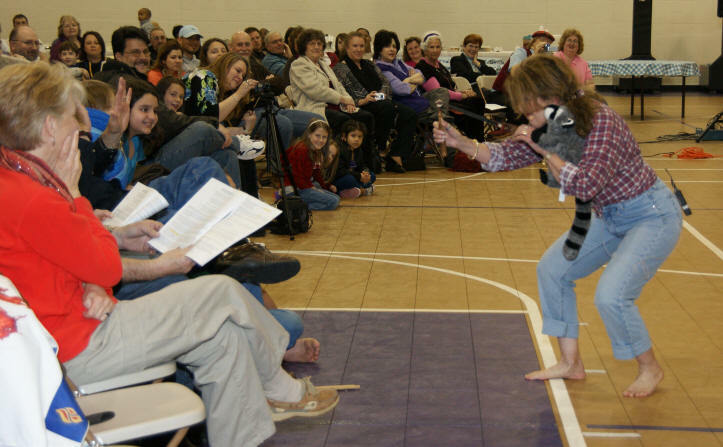 With about 115 in attendance, the evening was filled with praise, worship, Israeli Folk Dance, prayer for Israel and a BEVERLY HILLBILLIES parody Purim play entitled "The Shushan Hillbillies". 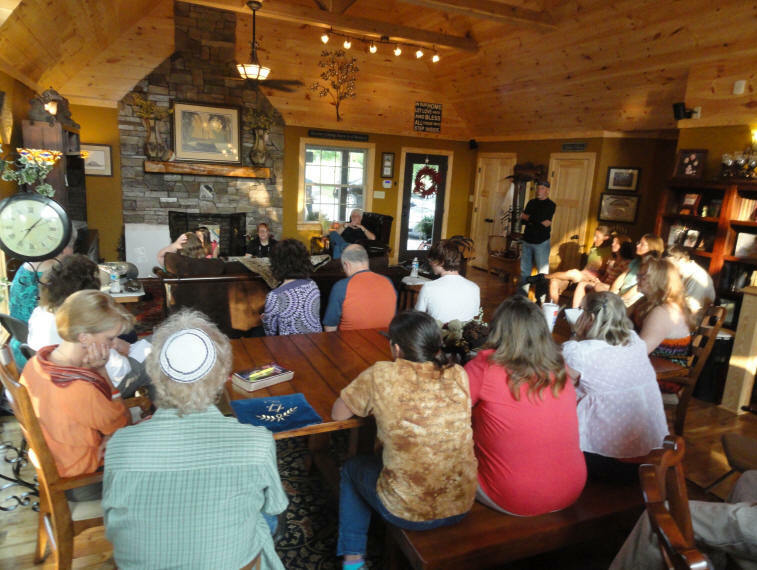 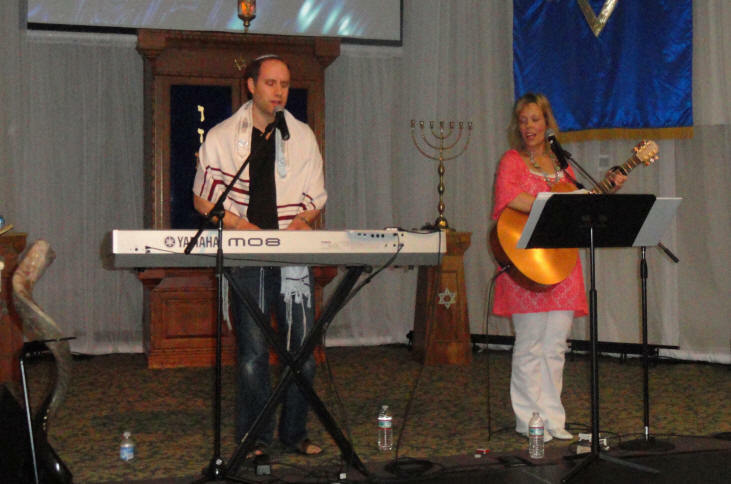 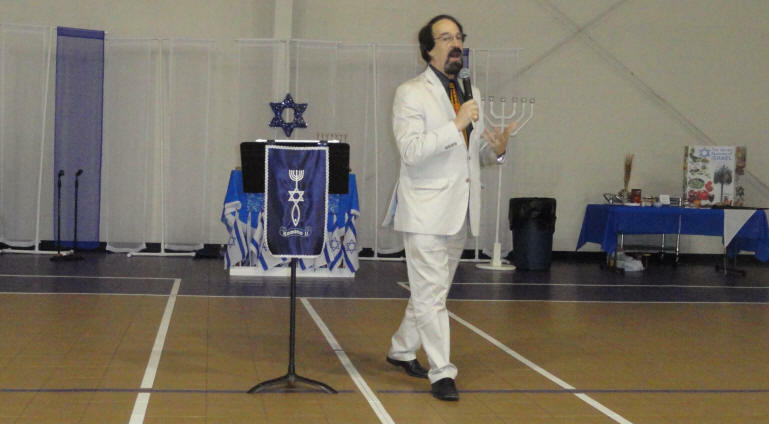 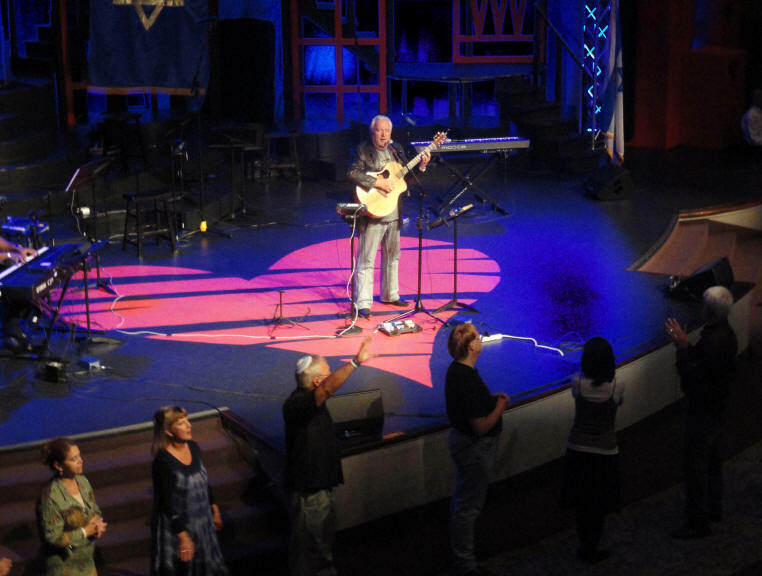 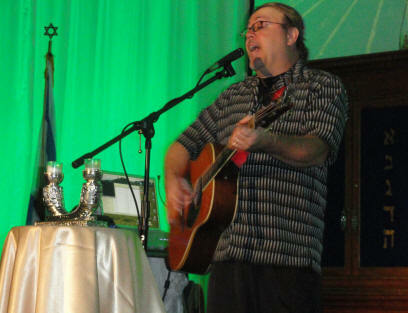 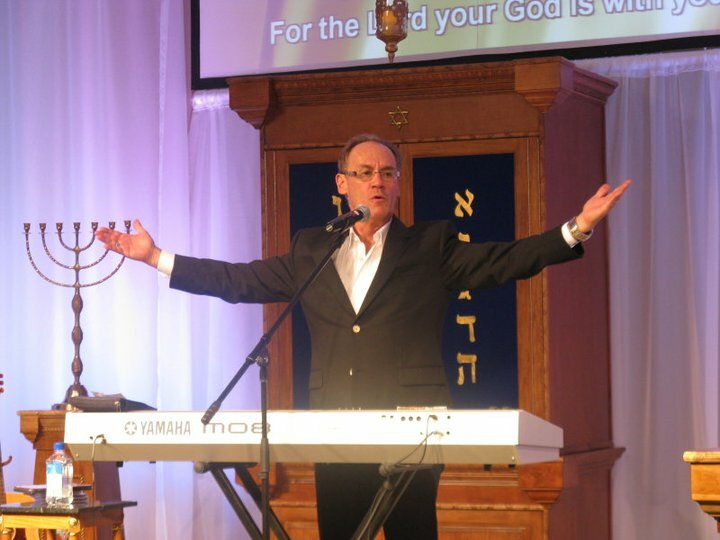 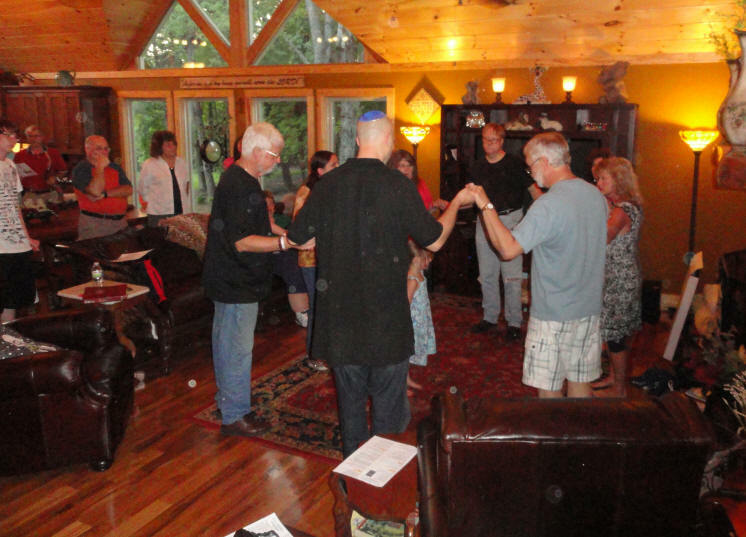 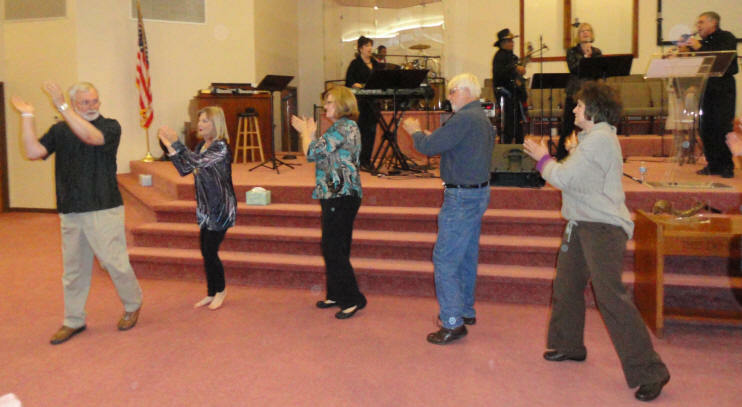 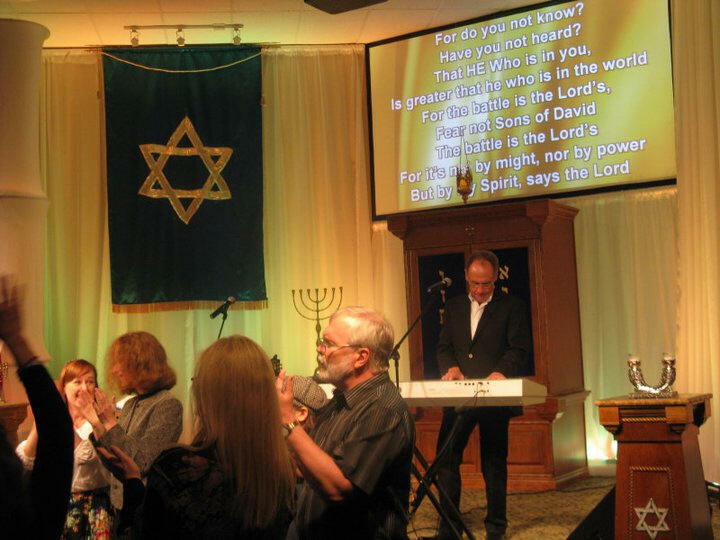 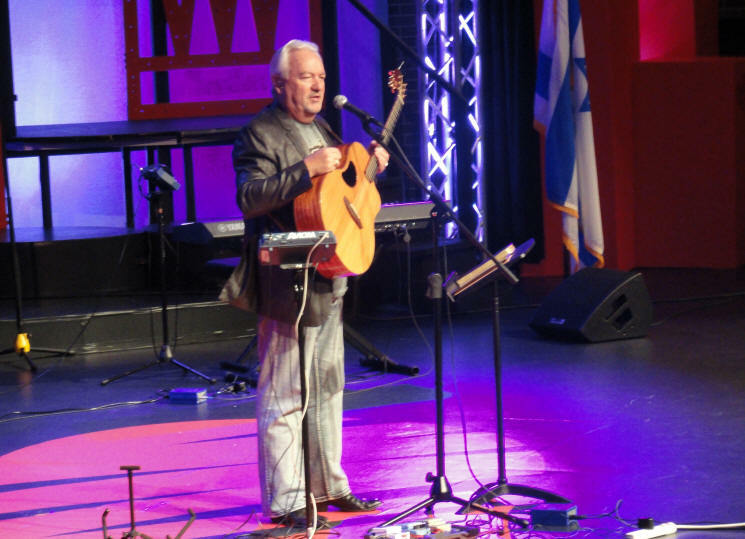 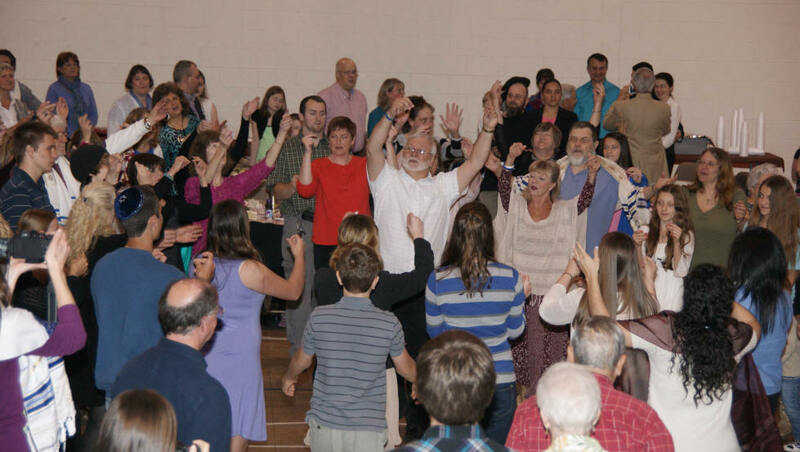 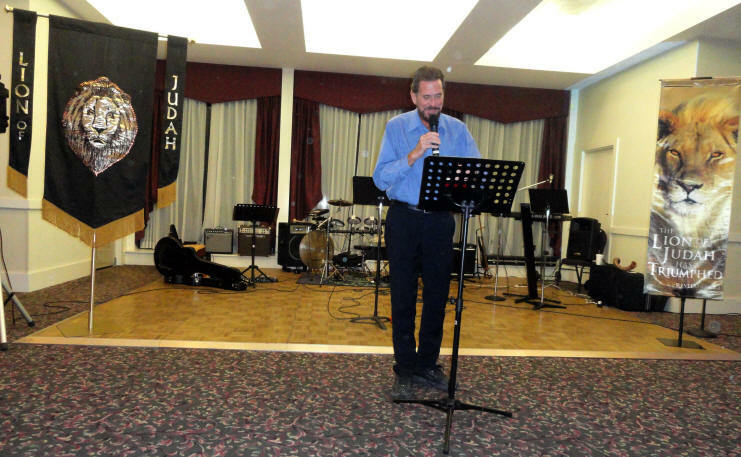 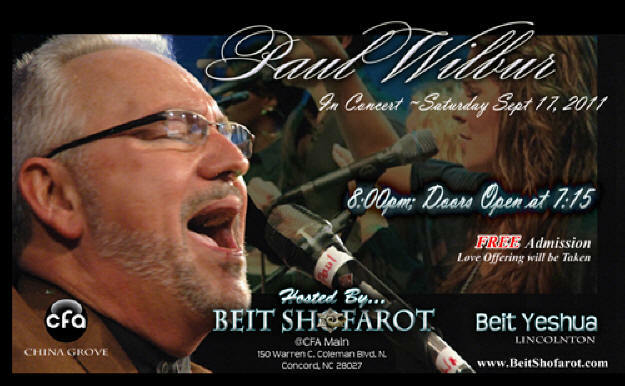 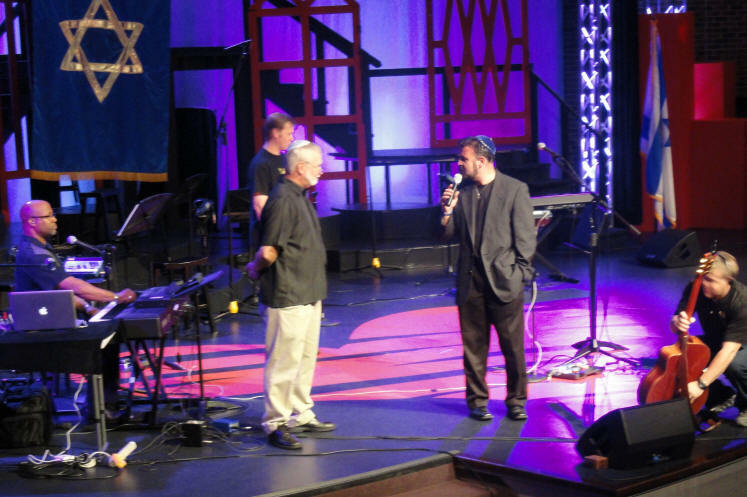 As part of Beit Shofarot's 1-year anniversary (Saturday, April 16, 2011), they welcomed Messianic recording artist Joel Chernoff to China Grove, NC. 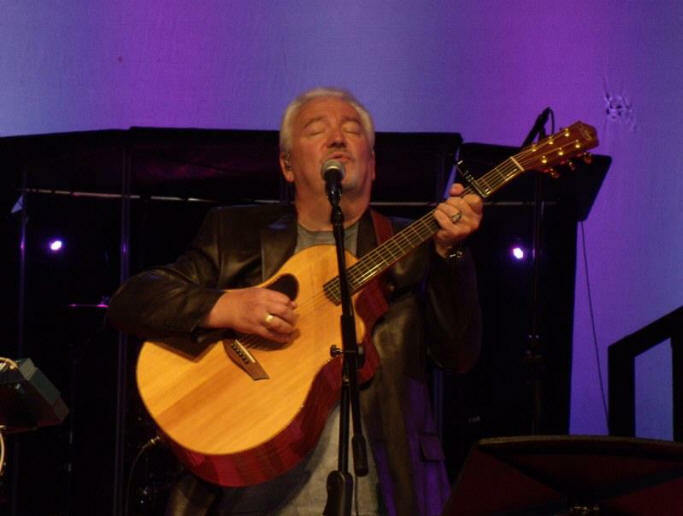 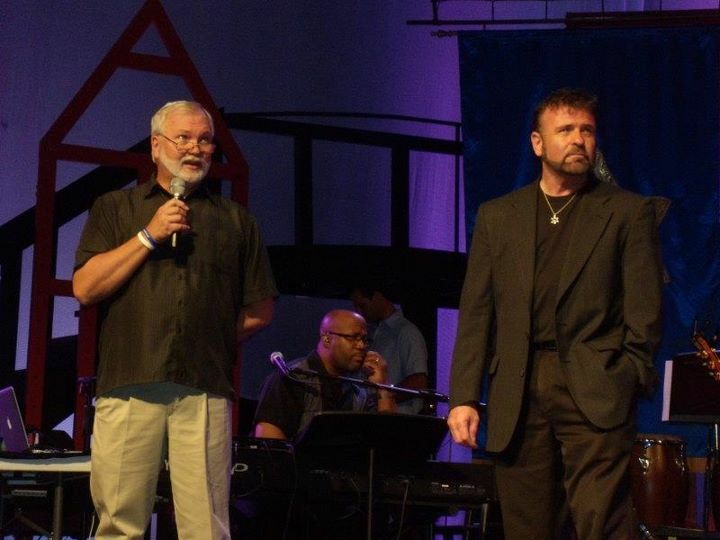 Joel, along with Rick "Levi" Coghill, was part of the "first" Messianic singing group, LAMB. 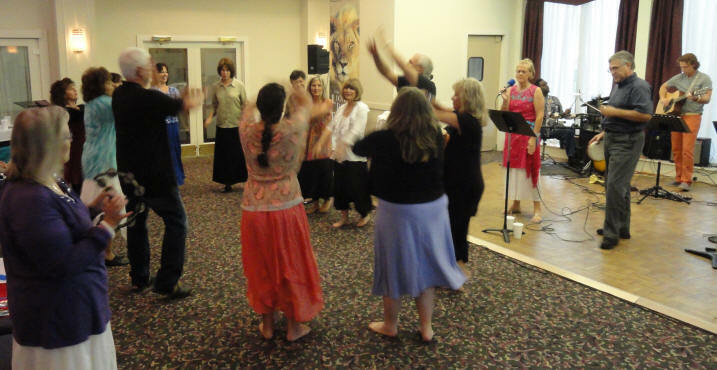 Beit Yeshua & the Machol Dancers joined Beit Shofarot for a wonderful evening of music with Curtis leading Israeli Folk Dance. 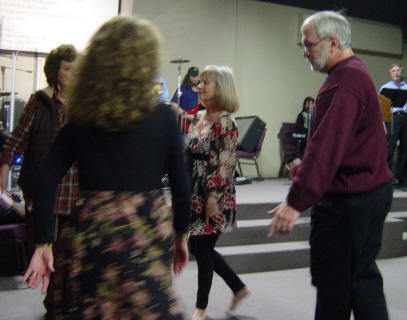 Joel sings "No Weapon Formed Against You" and the dancers dance "Od Lo Ahavti Dai"
Biet Yeshua (along with Beit Shofaort, Highway to Zion and Love For His People) met on Friday, May 6, 2011, in the Family Life Center of Covenant Bible Church, Lincolnton, NC., 7:00 pm to 10:00 pm, for our fourth annual Evening Honoring Israel. 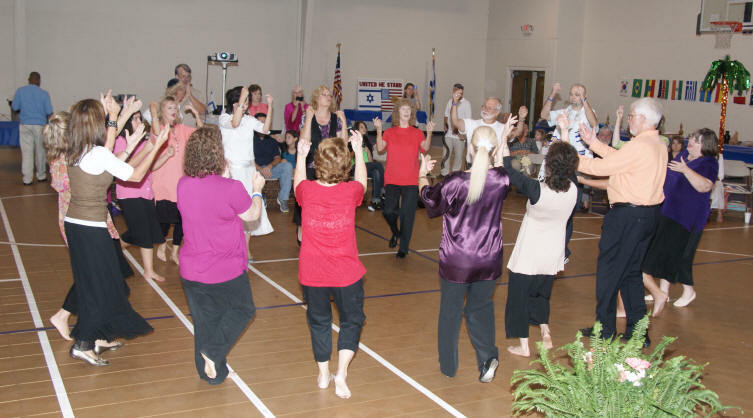 The meeting celebrated Israel's 63rd Birthday since their rebirth as a nation on May 14, 1948. 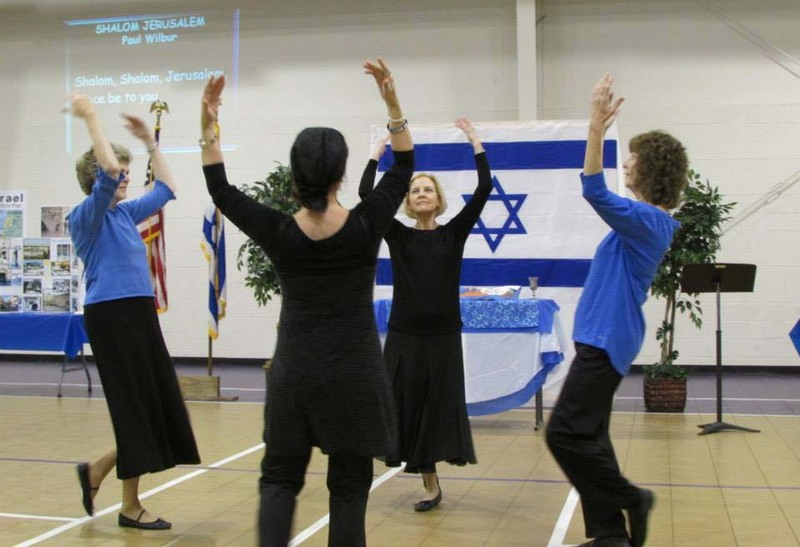 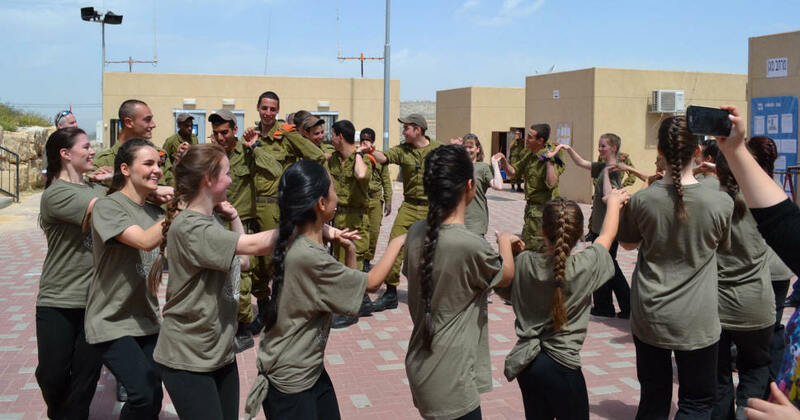 The Machol Dancers dance "Ashreinu"
To see the video of the Machol Dancers dancing to "Peace of Jerusalem"
Within the past few years the relationship between the folks of Beit Yeshua and Highway To Zion has really increased. 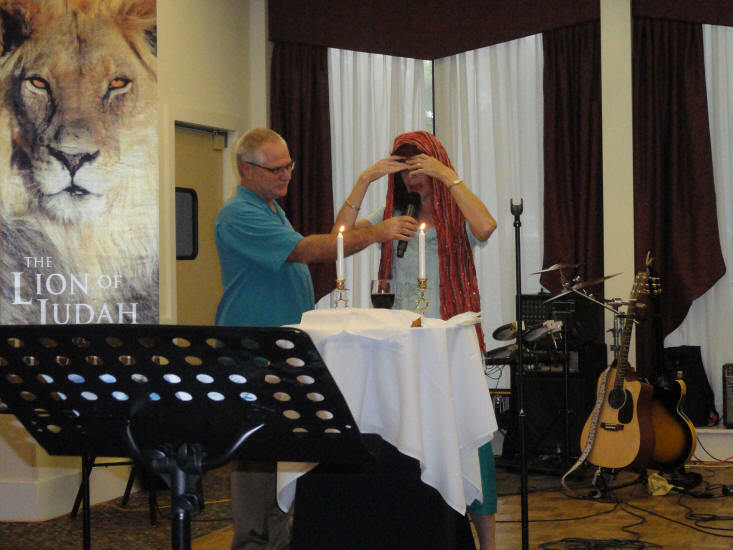 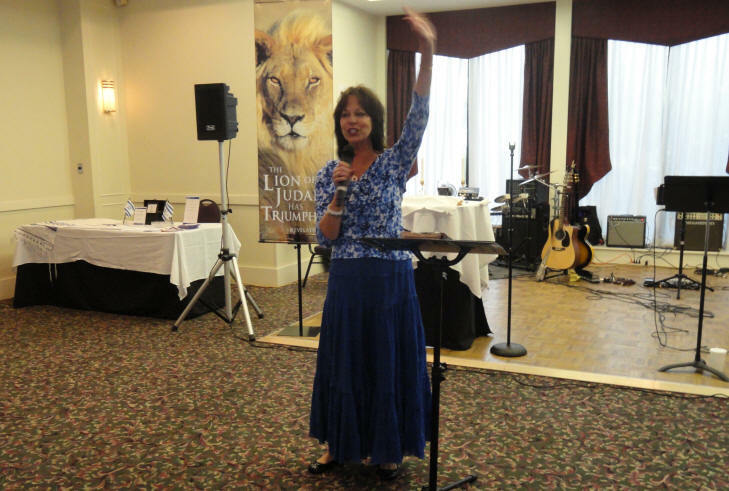 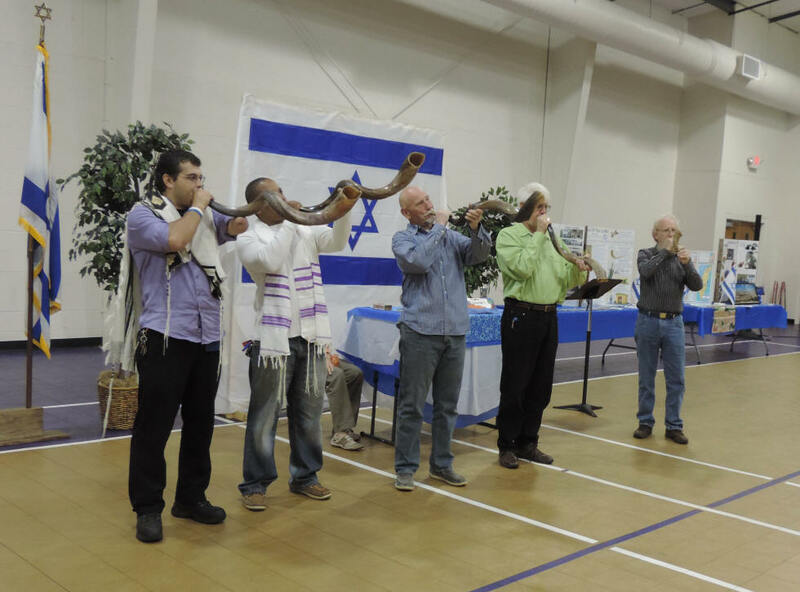 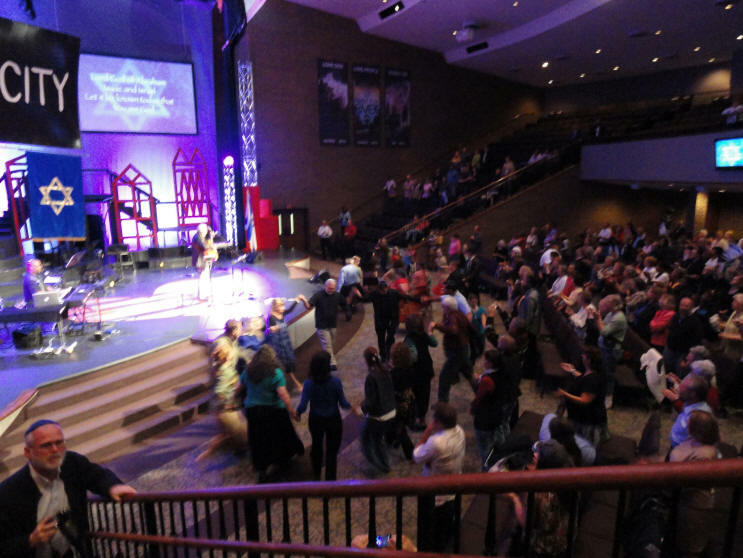 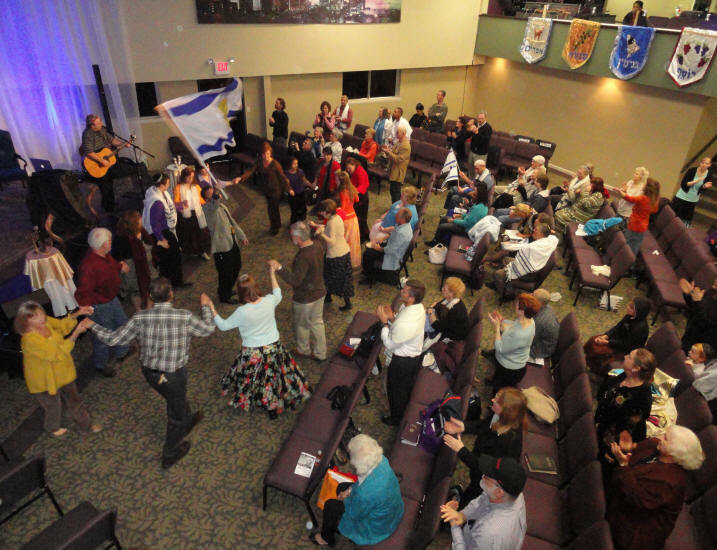 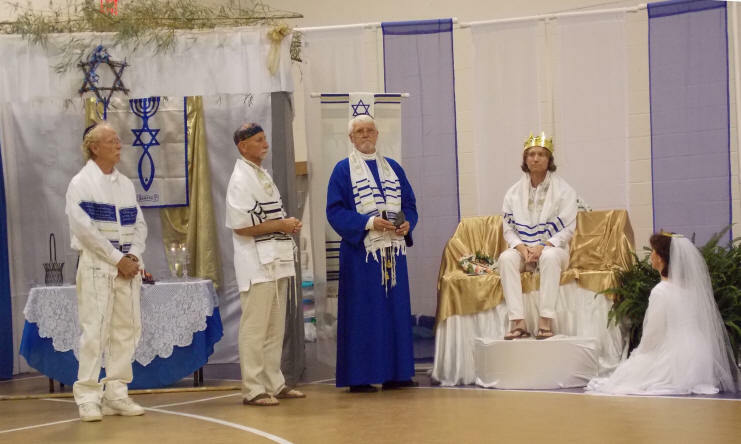 Beit Yeshua joins Highway To Zion for their quarterly assemblies in Charlotte, NC, and Highway To Zion has committed to join Beit Yeshua for their Biblical Festival celebrations in Lincolnton, NC. 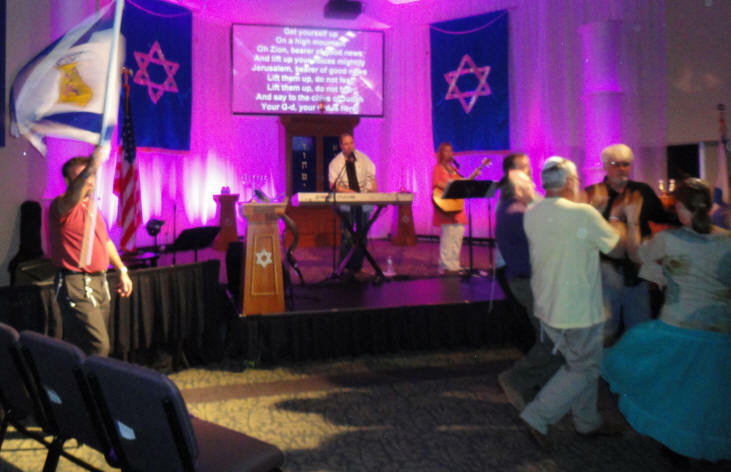 Thirteen folks from Beit Yeshua will join Highway To Zion for a trip to Israel this fall. 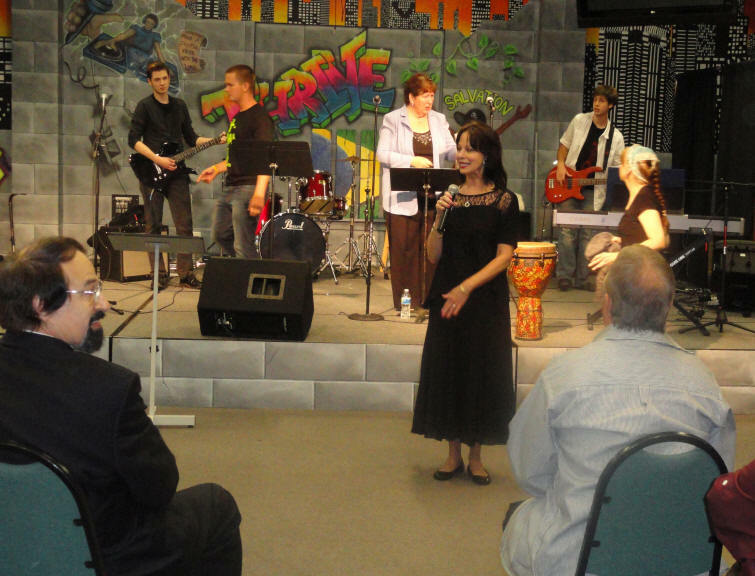 Friends of Beit Yeshua gathered on Friday, August 12th, 2011, as Beit Yeshua celebrated her 10-Year Anniversary in the Family Life Center of Covenant Bible Church. 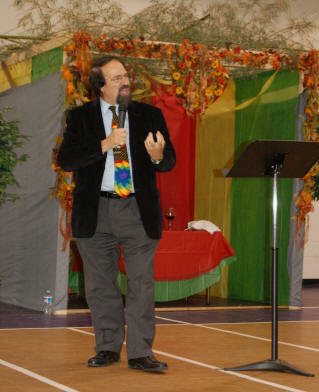 Numerous guests for the evening included Pastor Mike Devine (Senior Pastor at Covenant Bible Church), Jim & Linda (Christian Friends of Israel), Bill Shupp (The River Church), Indira Persad (formerly of Vision For Israel - now Indira Persad Ministries), Steve Martin (Love For His People) and Cathy Hargett (Highway to Zion). 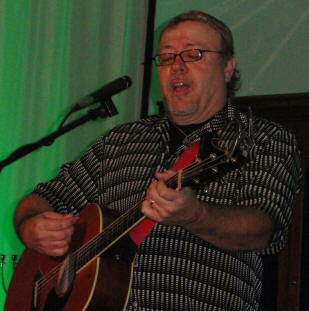 Musical guests for the evening included Gideon Anthony (with Jeff Long and Tim Ballard) and Wane Daroux (also with Tim on the drums). 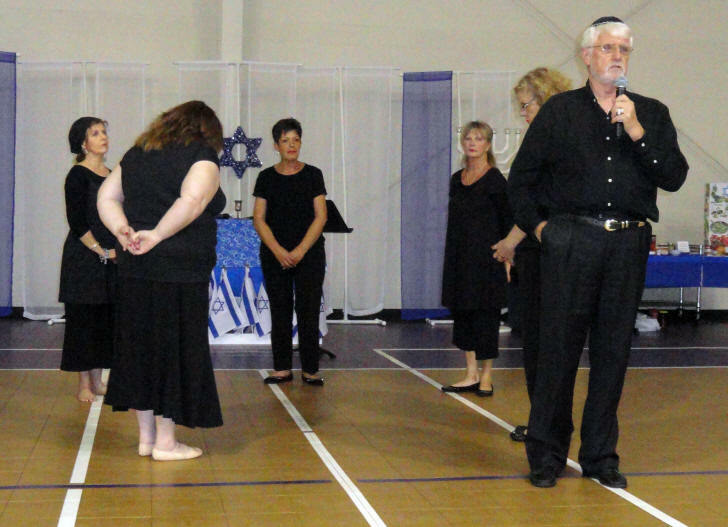 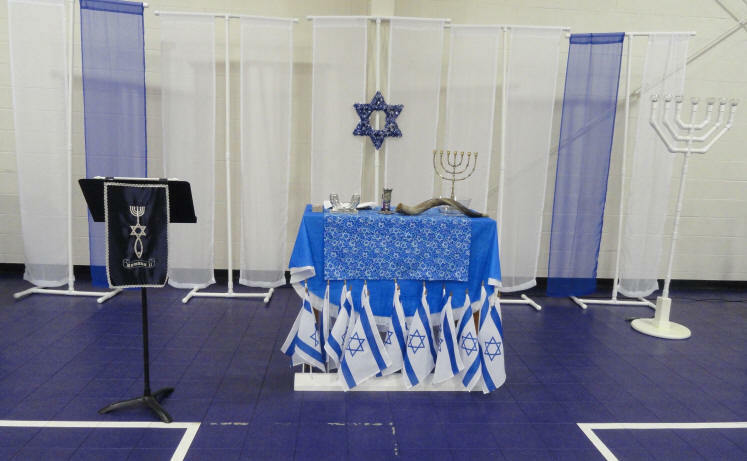 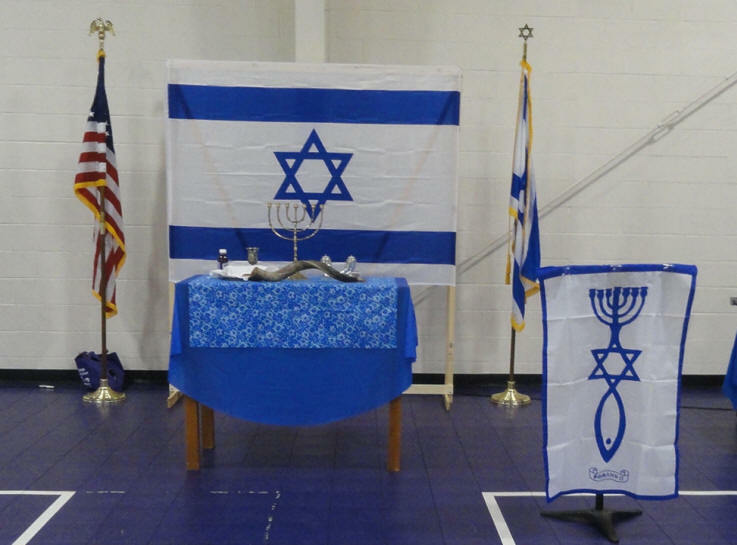 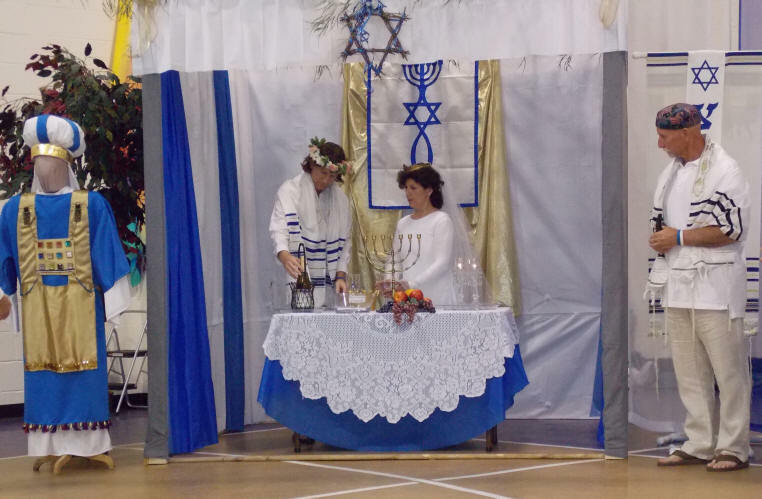 which they had performed earlier this year at Beit Yeshua's "An Evening Honoring Israel"
Beit Yeshua was pleased to join Highway to Zion on Friday, September 16th, for their September assembly at Steele Creeke Church in Charlotte, NC. 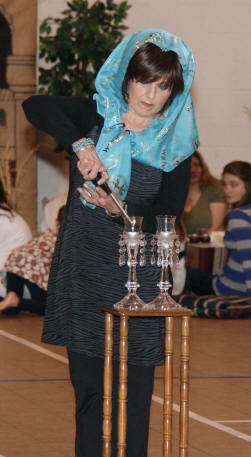 Cathy Hargett, HTZ Director, welcomed everyone for the Erev Shabbat meeting. 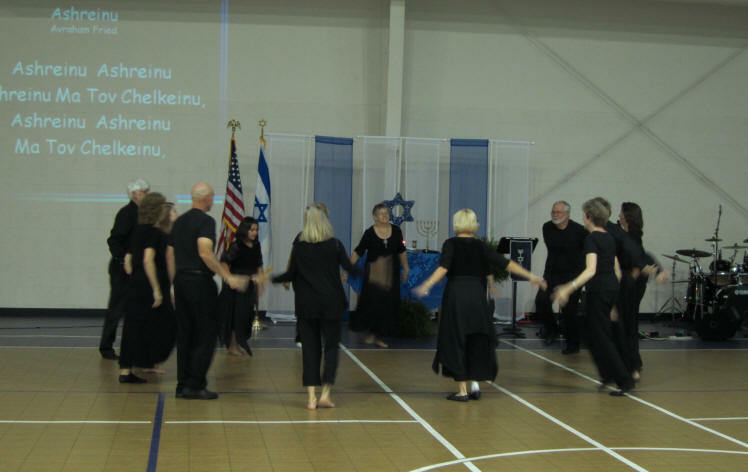 Israeli Folk Dance was lead by Beit Yeshua and the Machol Dancers. 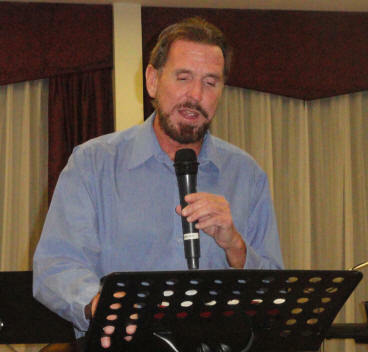 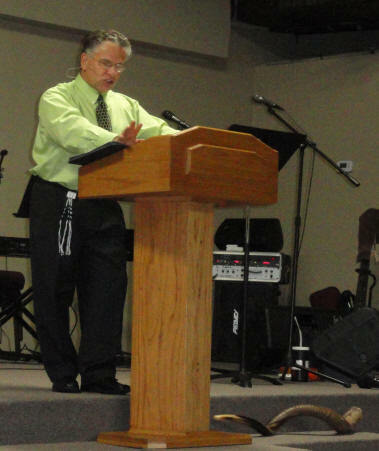 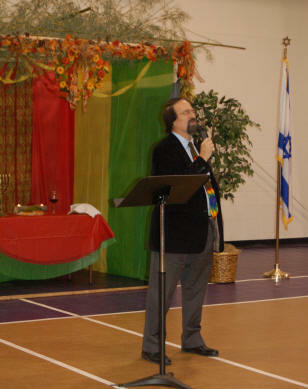 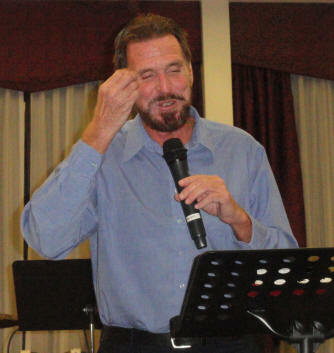 Steele Creek Church's Messianic Pastor Warren Marcus was the guest speaker for the evening. 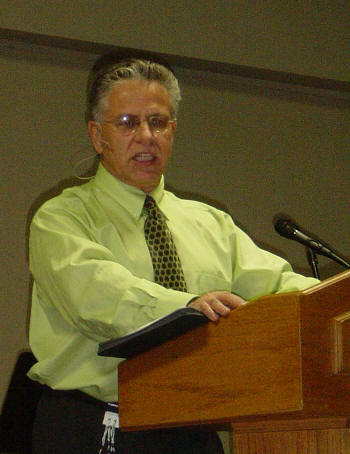 Warren is a Jewish Believer who currently works with Sid Roth of TV's "It's Supernatural". 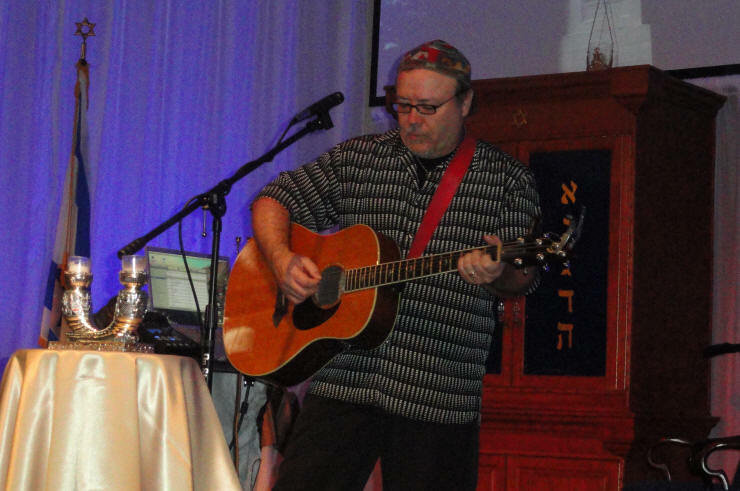 Paul begins the concert with the song "Even So"
On Friday, November 12th, Highway To Zion had their final assembly for 2011 and Beit Yeshua was there to show their support. 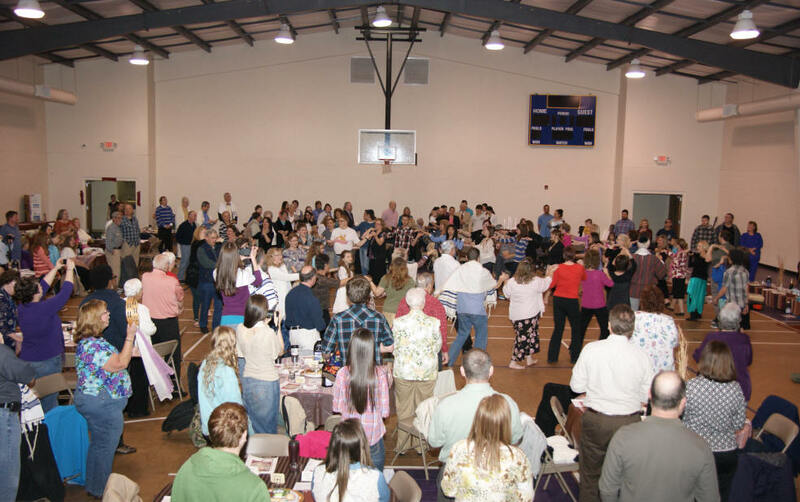 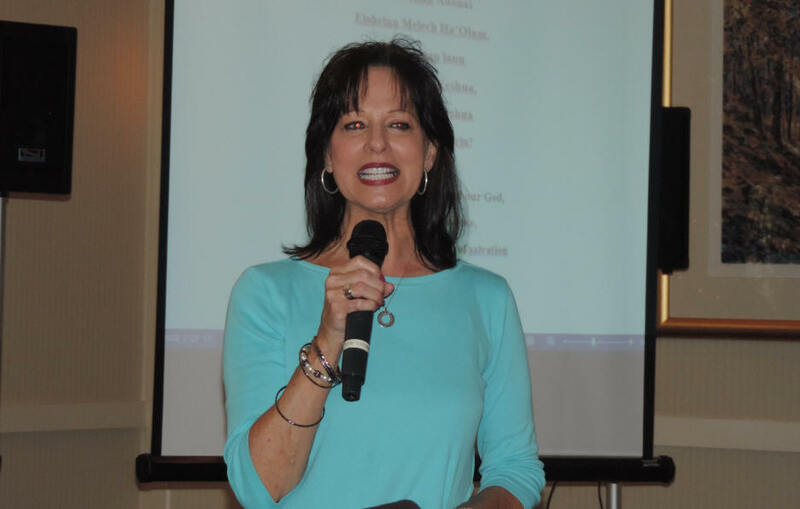 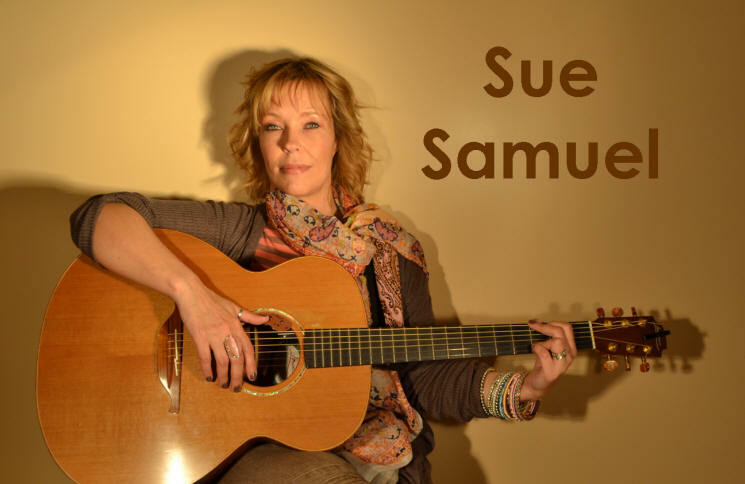 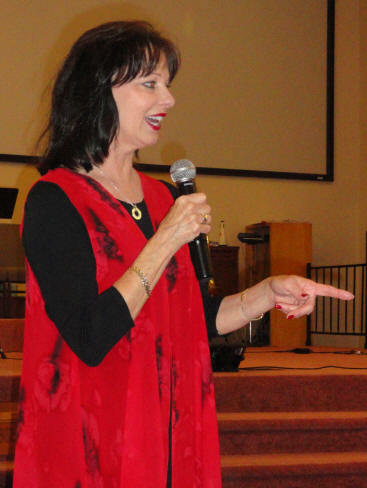 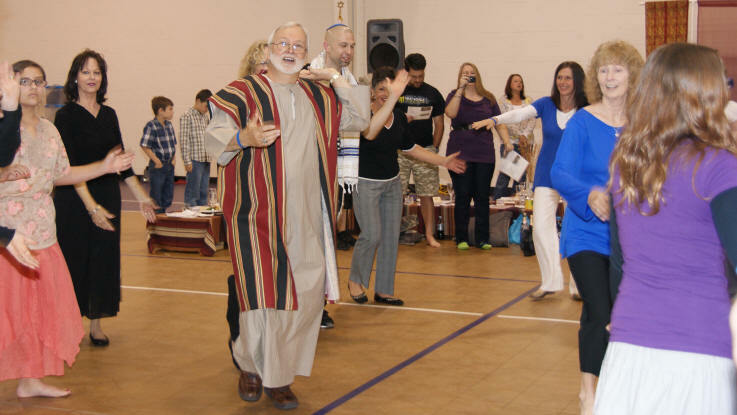 Cathy Hargett hosted the evening; Steve & Laurie Martin, of Love For His People, lead praise & worship; Curtis Loftin, from Beit Yeshua, lead Israeli Folk Dance; Dr. Peter Wyns, of Antioch International Church, was the guest speaker for the evening. 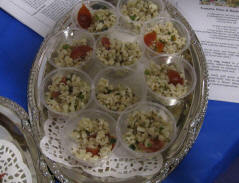 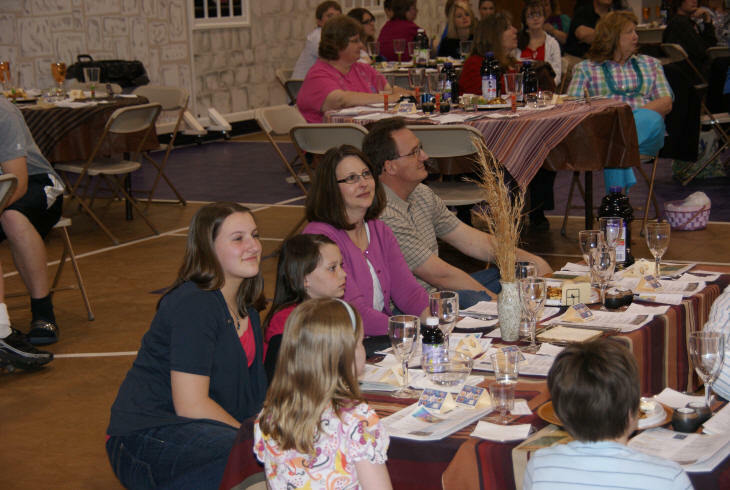 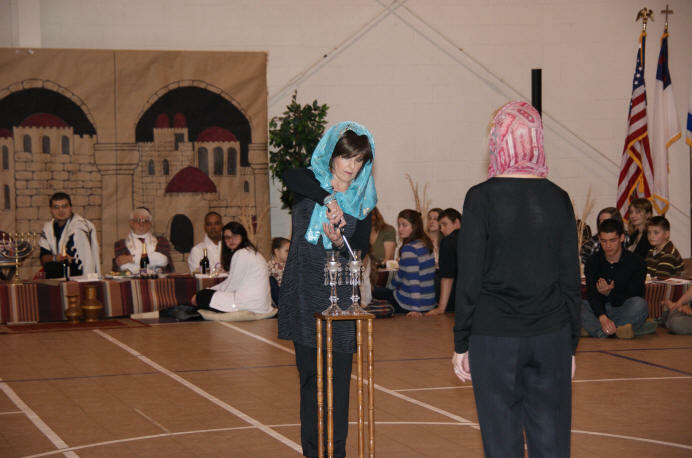 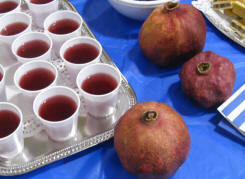 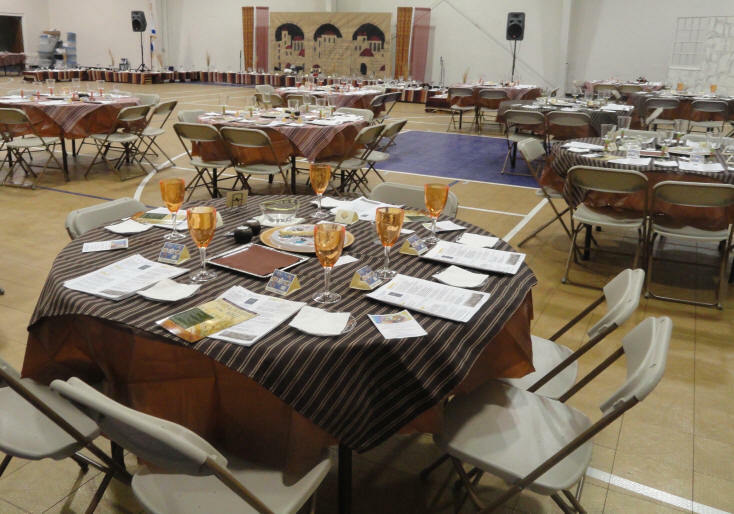 Beit Yeshua gathered on Friday March 9, 2012, to celebrate their 11th annual Purim Celebration. 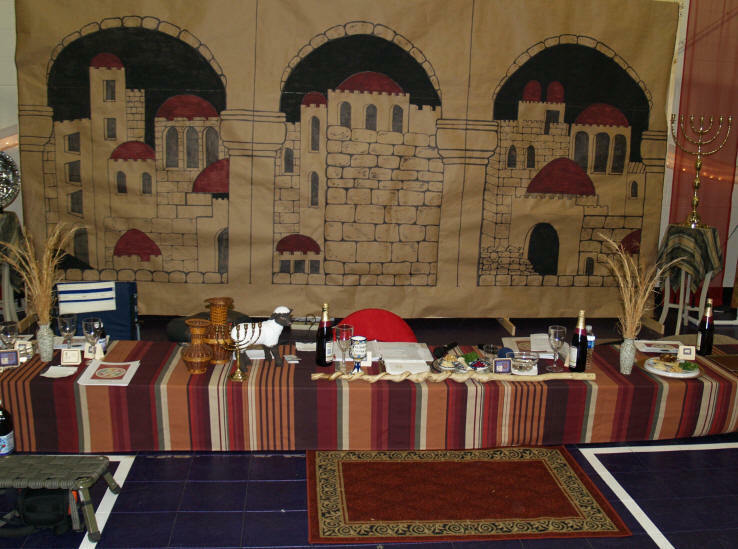 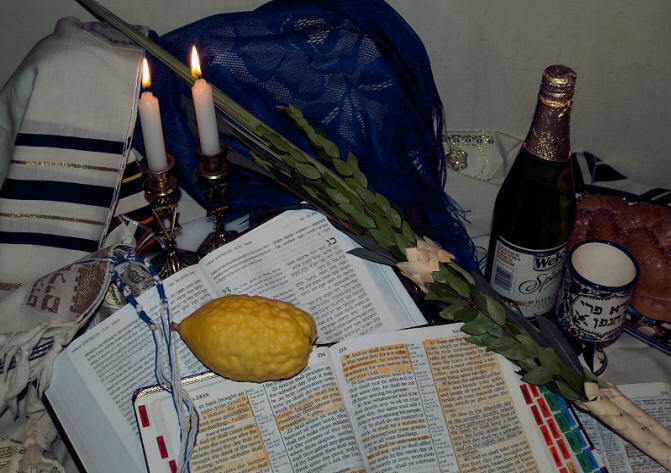 The story of Purim is told in the book of Esther and recalls how Adonai miraculously protected and delivered the Jewish people from the hand of the evil Haman. 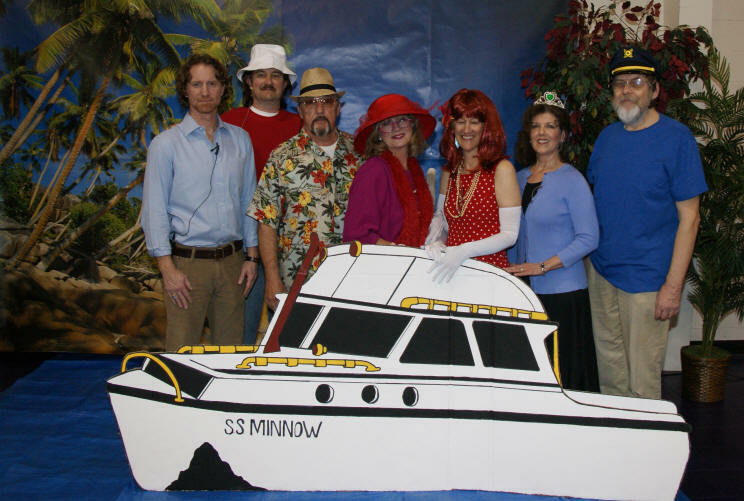 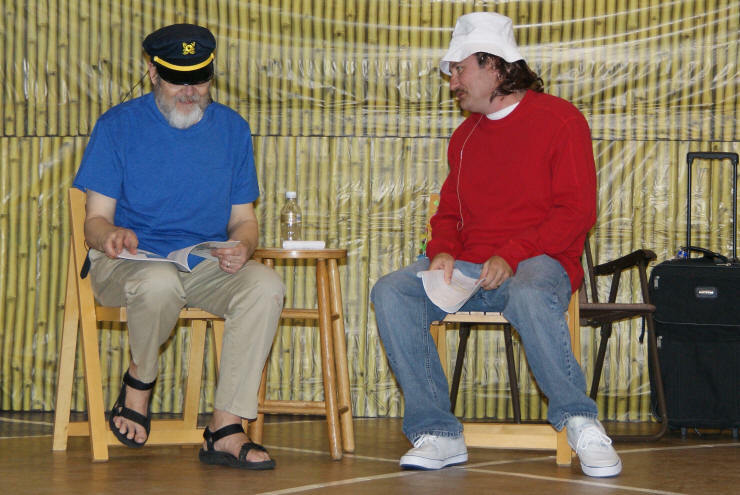 The 2012 Shpiel (play) is called "Shushan Isle" and is a Gilligan's Island parody of the Purim story. 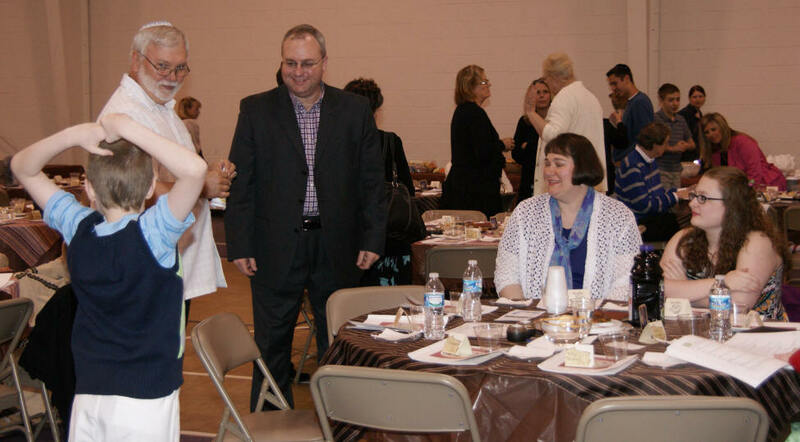 With 70+ in attendance, it was a fun evening for all. 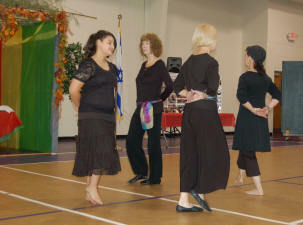 CAST from the 2012 Purm Play - "SHUSHAN ISLE"
The lady Machol Dancers danced the Israeli Folk Dance "O Give Thanks"
to the song "Be Unto Your Name"
the Israeli Folk Dance "O Give Thanks"
Beit Yeshua, Highway To Zion and Love For His People met on Friday, April 27th, 2012, 7 pm, in the Family Life Center of Covenant Bible Church in Lincolnton, NC, to celebrate An Evening Honoring Israel. 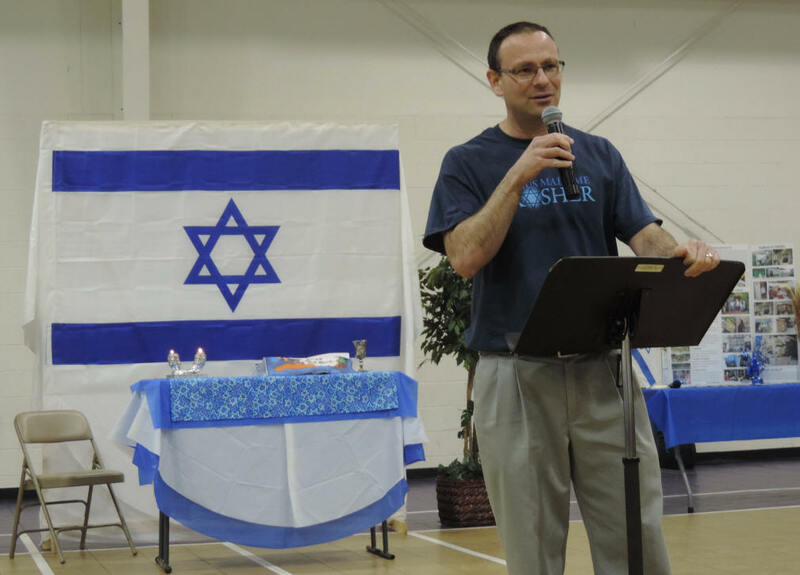 Guest speakers for the evening were Dr. Bill & Cindi Duerfeldt of Christian Friends of Israel (Jerusalem) and Warren Marcus of Sid Roth Ministries and Messianic Pastor at Steele Creek Church in Charlotte, NC. 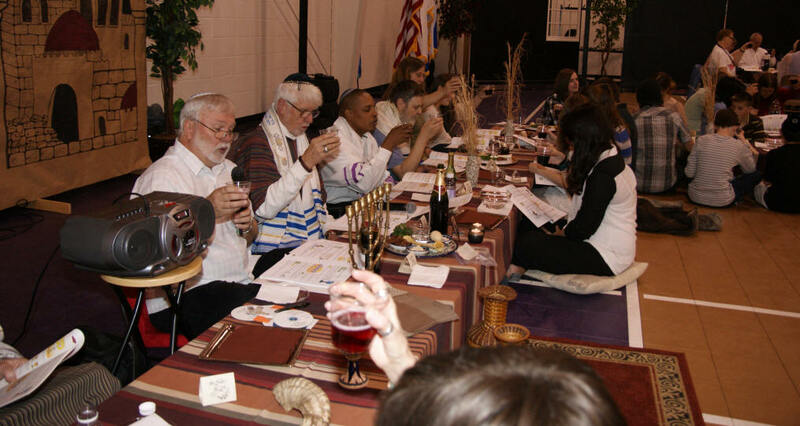 Fifty days after Pesach/Passover is the feast of Shavuot/Weeks/Pentecost. 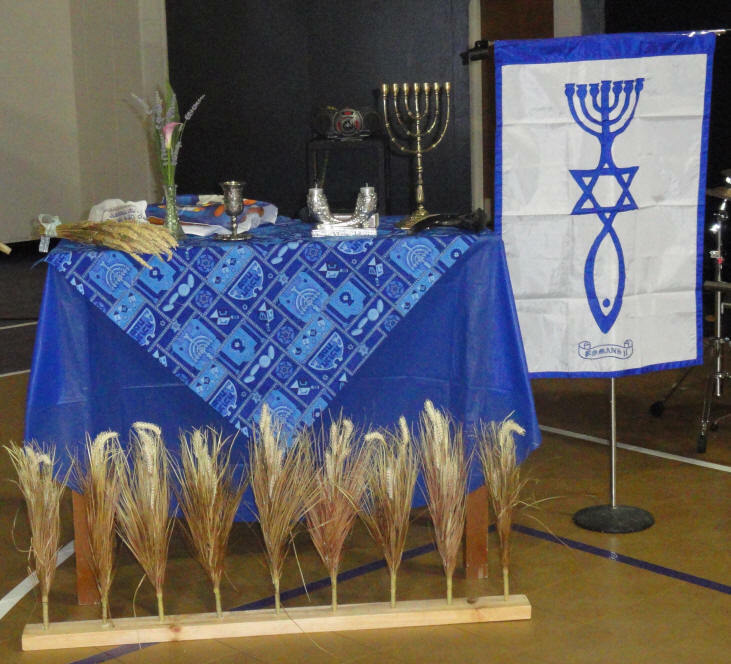 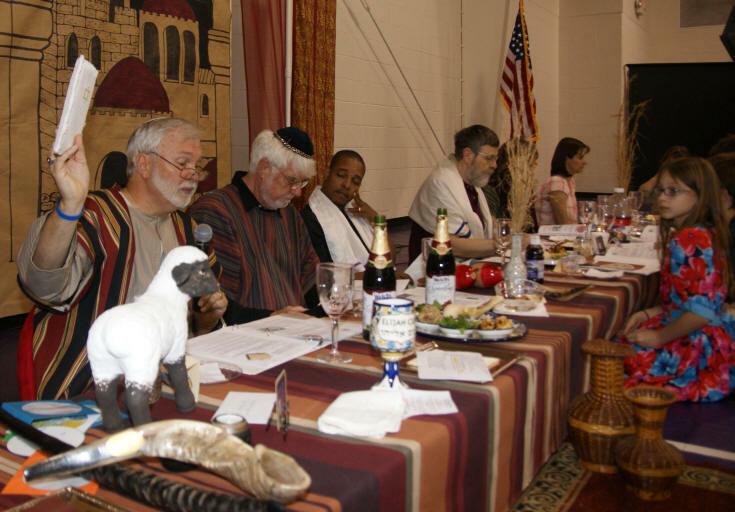 This year Beit Yeshua chose to observe Shavuot as a home-group meeting instead of their usual "larger" meeting in the Family Life Center at Covenant Bible Church in Lincolnton, NC. 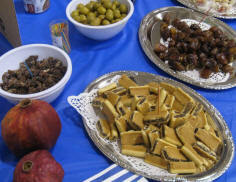 - observing and celebrating the festival on Friday, May 25th. 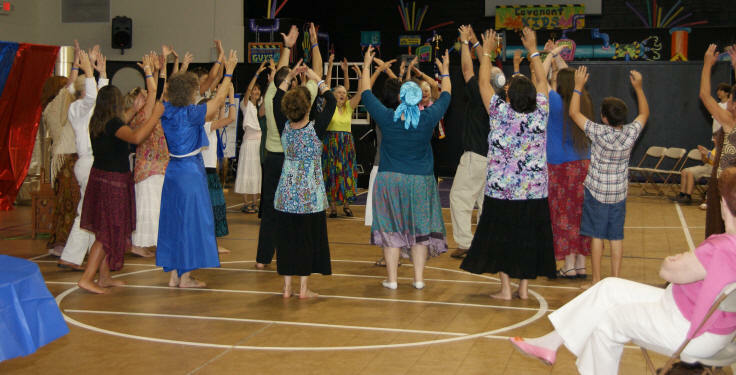 The Machol Dancers perform the Israeli Folk Dance "Mashav Ruach"
We're pleased to finally be able to provide videos from the 2012 performance of "The Ancient Jewish Wedding"
Beit Yeshua joined with Highway To Zion and Love For His People on Friday, April 12, 2013, in the Family Life Center of Covenant Bible Church, for An Evening Honoring Israel. 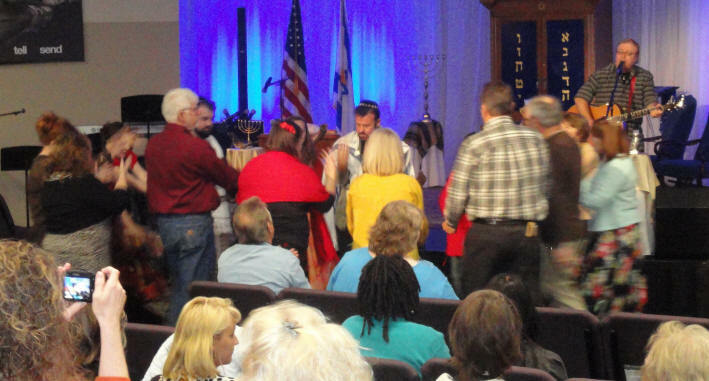 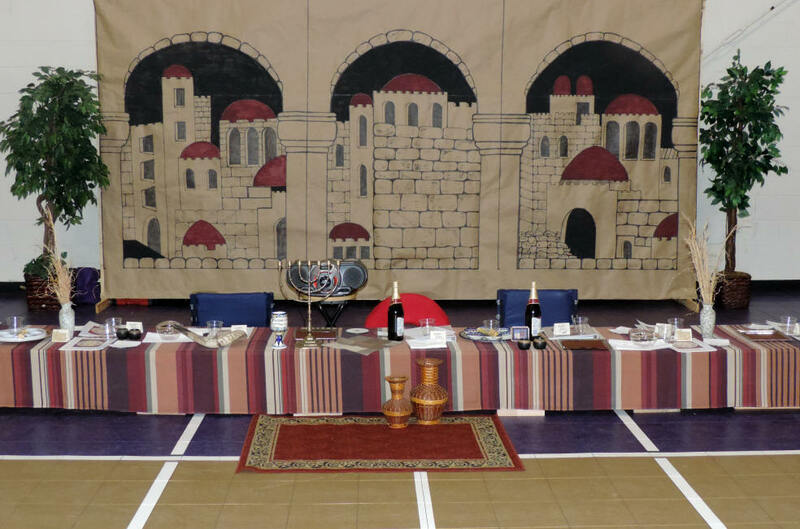 Beit Yeshua met on Friday, September 20th, in the Family Life Center of Covenant Bible Church, to celebrate the Biblical Festival of Sukkot (or "The Feast of Booths/Tabernacles"). 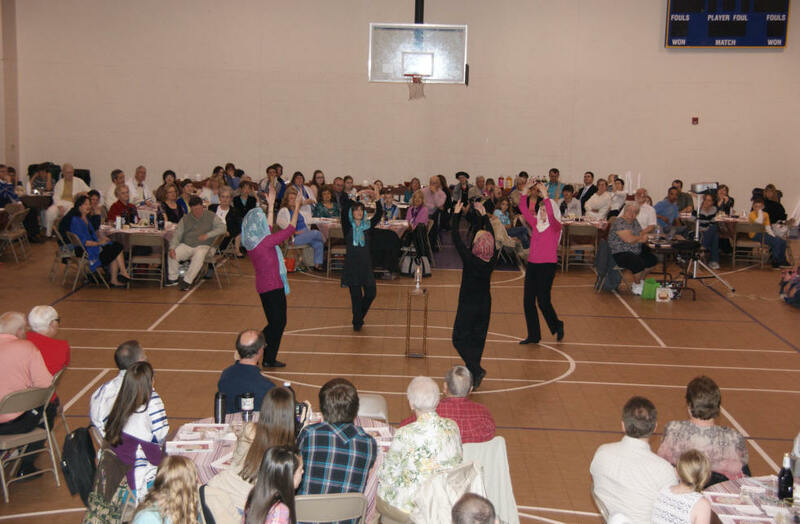 The Machol Dancers dance to "Who Is Like You"
from Paul Wilbur's CD "Your Great Name"
Beit Yeshua gathered on Friday, April 18, 2014, to celebrate and observe our 13th annual Pesach/Passover Seder. 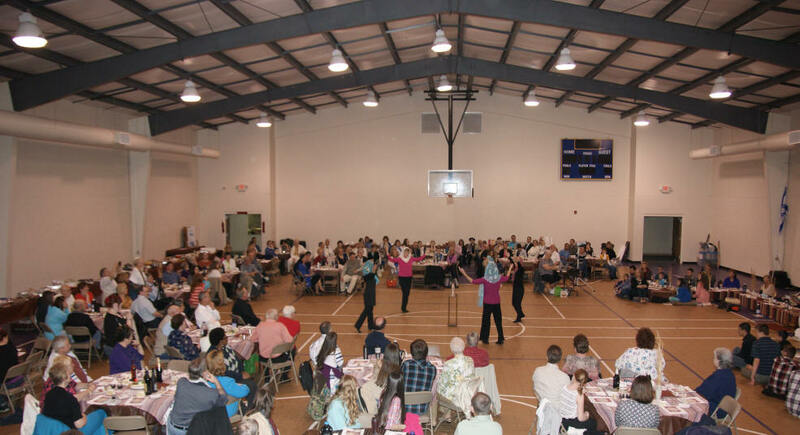 We met in the Family Life Center at Covenant Bible Church in Lincolnton and had about 225 in attendance. 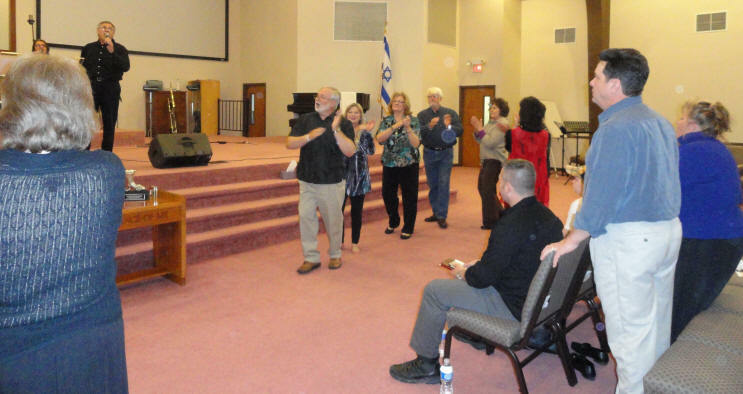 We were honored to have four pastors with us from the neighboring counties as well as leaders from several Messianic/Jewish-Roots ministries. 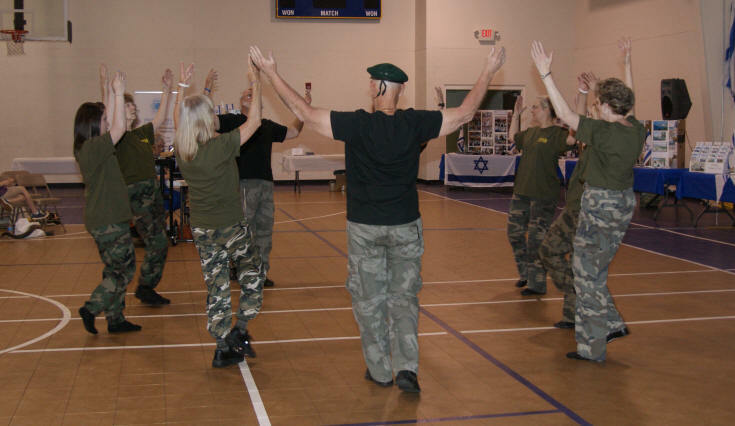 "Kadosh, Kadosh, Kadosh, Adonai, Elohim, Tz’va’ot,"
"Holy, Holy, Holy, Lord, God of Hosts/Almighty"
"Step Right, Left, Right, Left, Right, Clap Clap Right, Clap Left ..."
"(Into Center of Circle) Step Right, Snap, Step Left, Snap, (Backing Out of Circle) Step Right, Left, Right Left"
and everyone danced "Im Hu Pal Nu"
On Friday, May 2, 2014, Beit Yeshua, Highway To Zion and Love For His People gathered in the Family Life Center of Covenant Bible Church in Lincolnton, NC, to celebrate our annual AN EVENING HONORING ISRAEL. 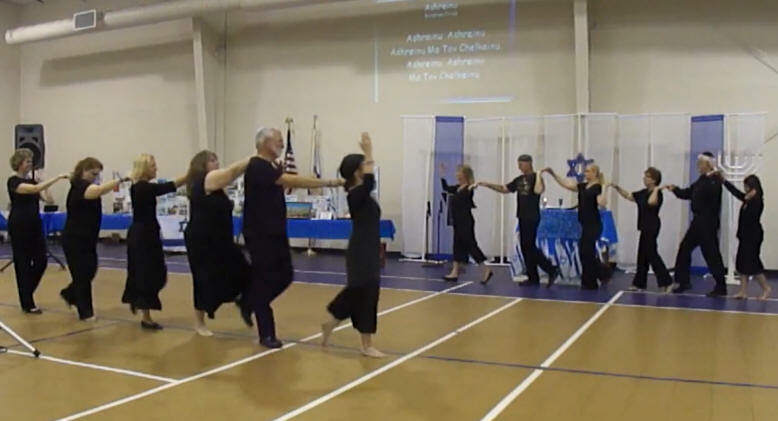 To see the dancers perform "Shalom Jerusalem"
Ze'ev Nevo of Israel Media Ministries shared the message for the evening, "Yeshua and Israel"
who was hosting Messianic Believer Chuck Cohen of Intercessors For israel. 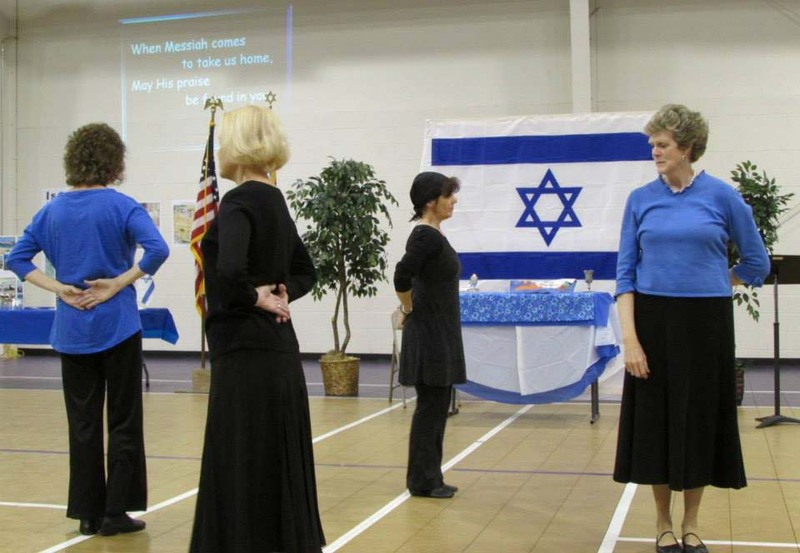 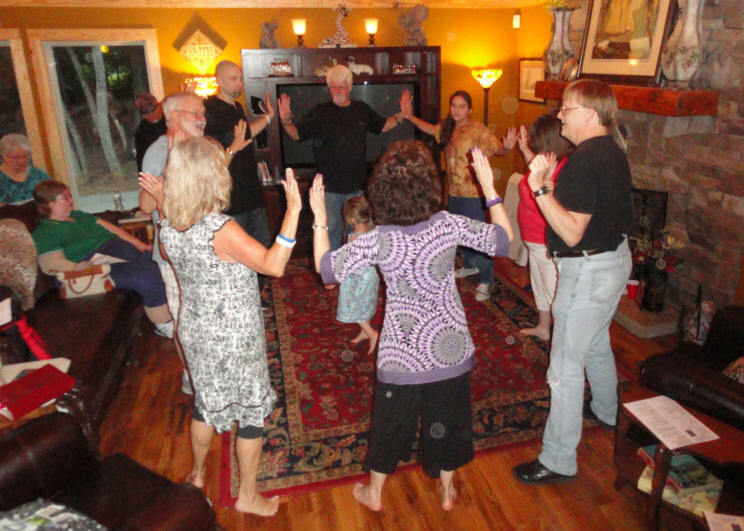 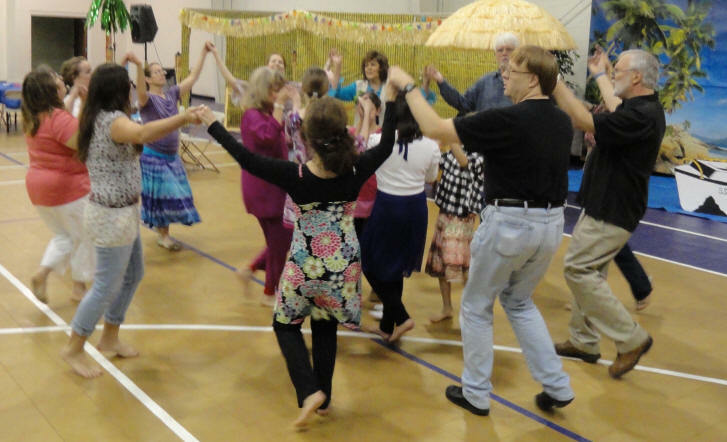 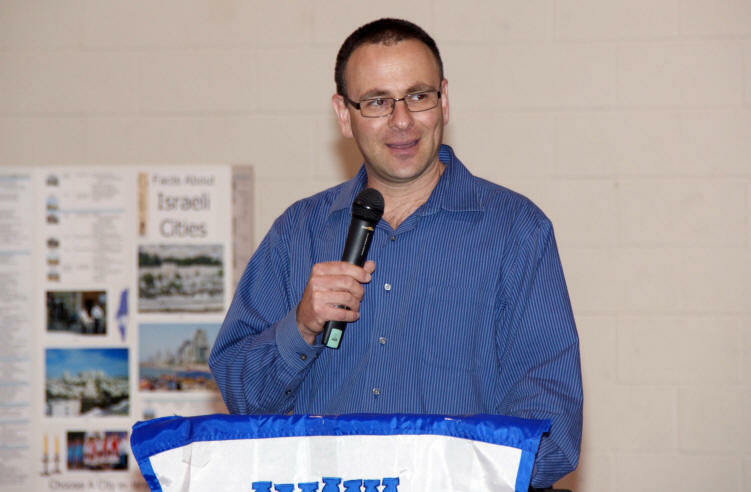 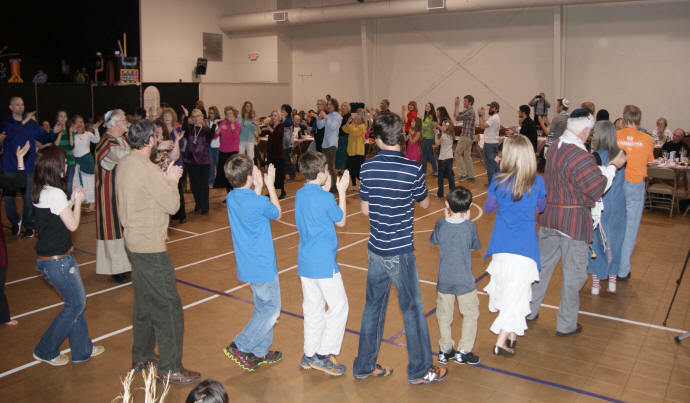 At the end of 2014, and after 15 years, Curtis officially stopped teaching Israeli Folk Dance classes in Lincolnton.